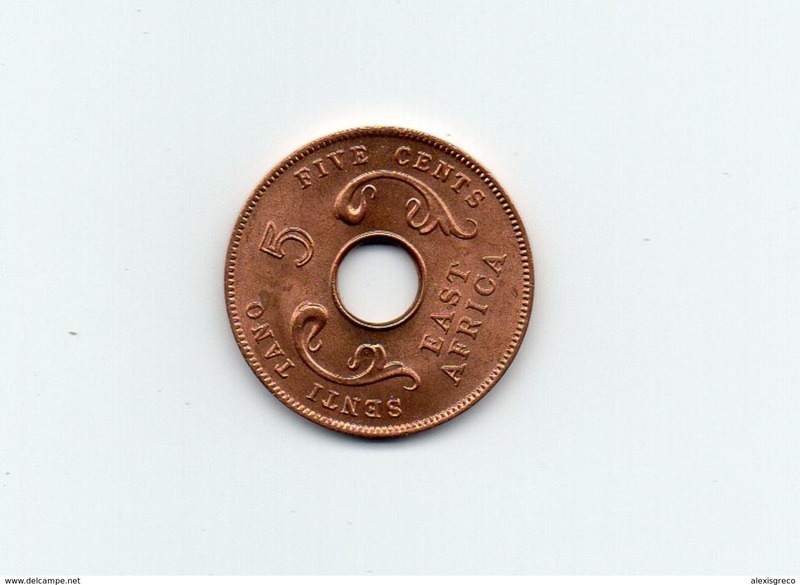 BRITISH EAST AFRICA USED ONE CENT COIN BRONZE of 1959 H.
british. 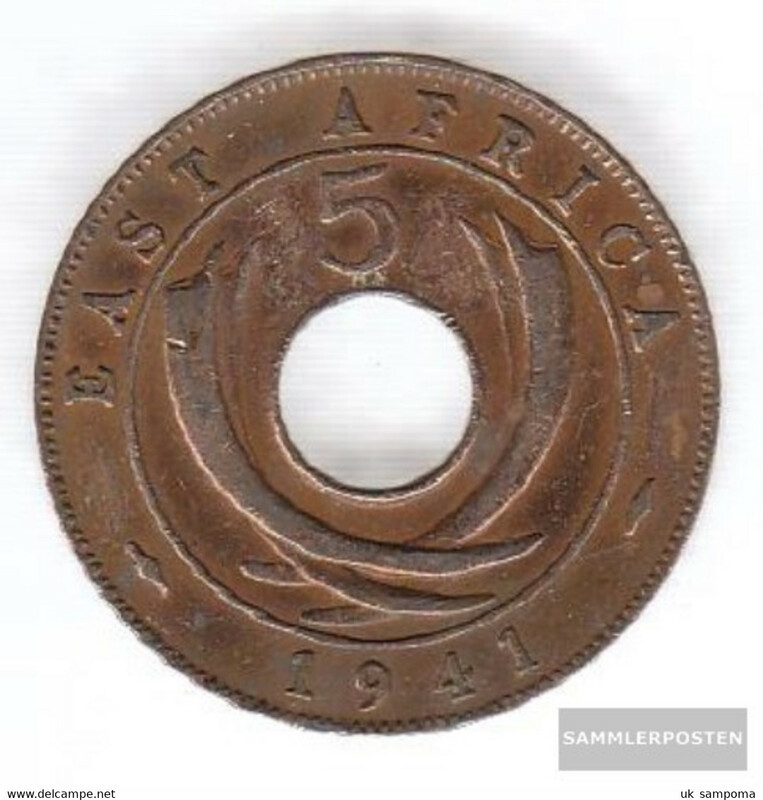 Eastern Africa and uganda 33 1949 Stgl./unzirkuliert Bronze Stgl./unzirkuliert 1949 5 Cents George VI. 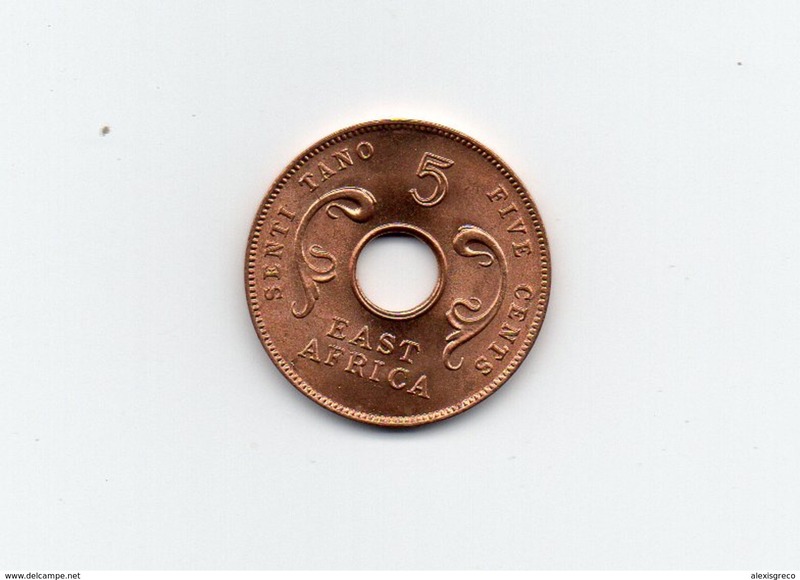 BRITISH EAST AFRICA 1964 UNCIRCULATED COIN FIVE CENTS BRONZE (Post-Independence Issue). 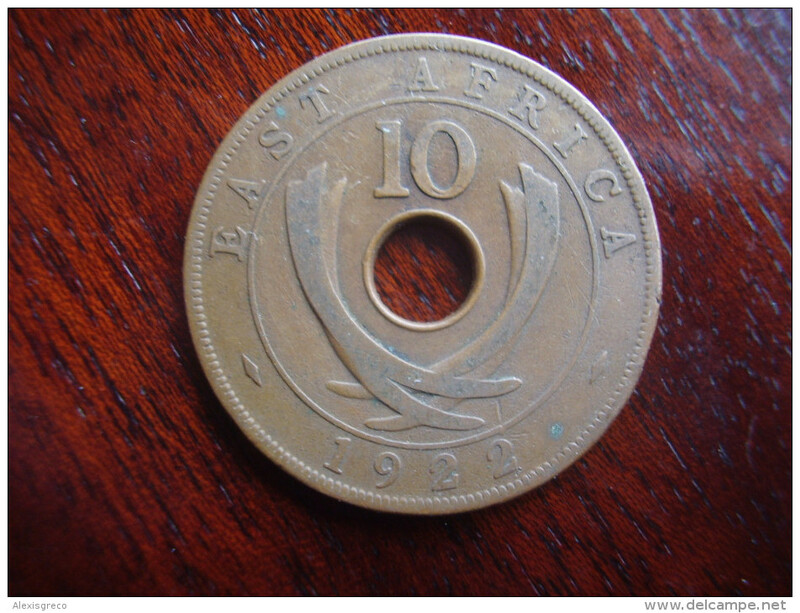 BRITISH EAST AFRICA 1964 UNCIRCULATED COIN TEN CENTS BRONZE (Post-Independence Issue). 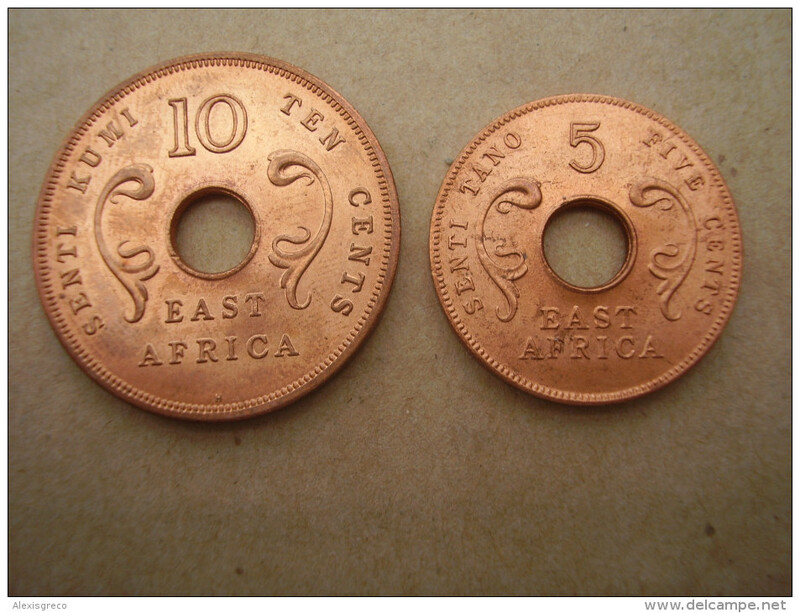 BRITISH EAST AFRICA USED TEN CENT COIN BRONZE of 1928 - GEORGE V.
BRITISH EAST AFRICA USED TEN CENT COIN BRONZE of 1922 - GEORGE V.
BRITISH EAST AFRICA USED ONE CENT COIN BRONZE of 1962 H.
BRITISH EAST AFRICA KUT ONE CENT COINS BRONZE of 1962 - TEN all the SAME USED (H) Mint Mark..
ZANZIBAR SULTANATE AH 1299 ONE PYSA COPPER COIN USED. 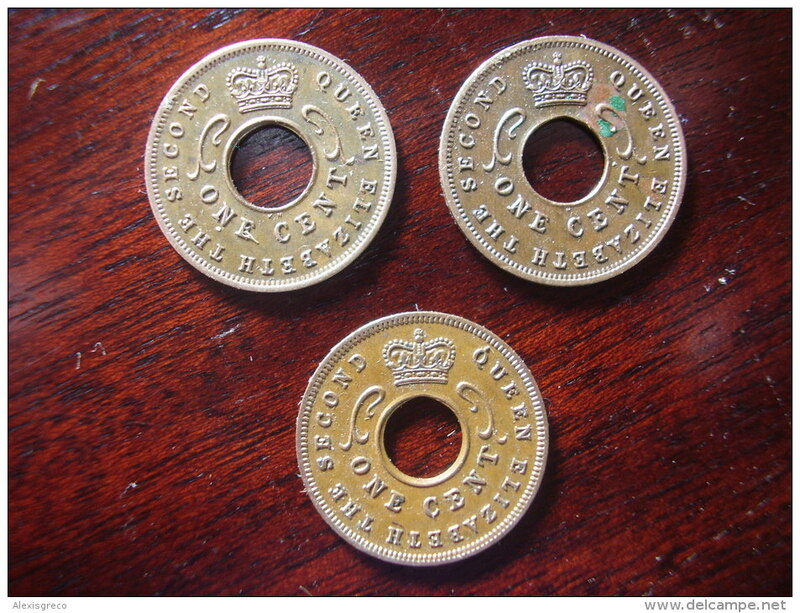 british. 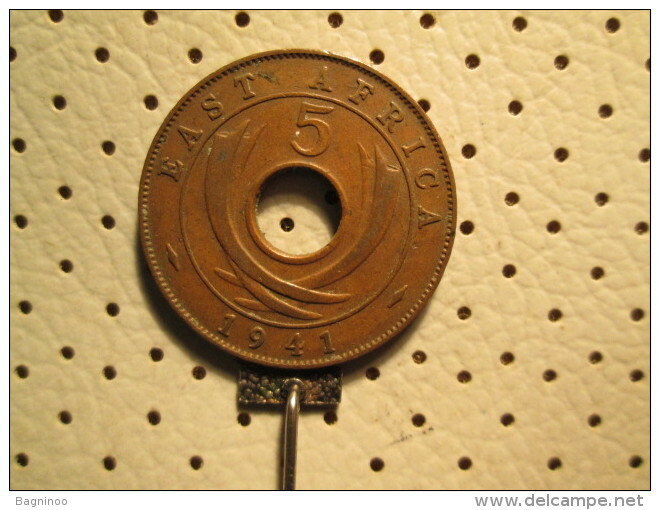 Eastern Africa and uganda 25 1941 very fine Bronze very fine 1941 5 Cents George VI. 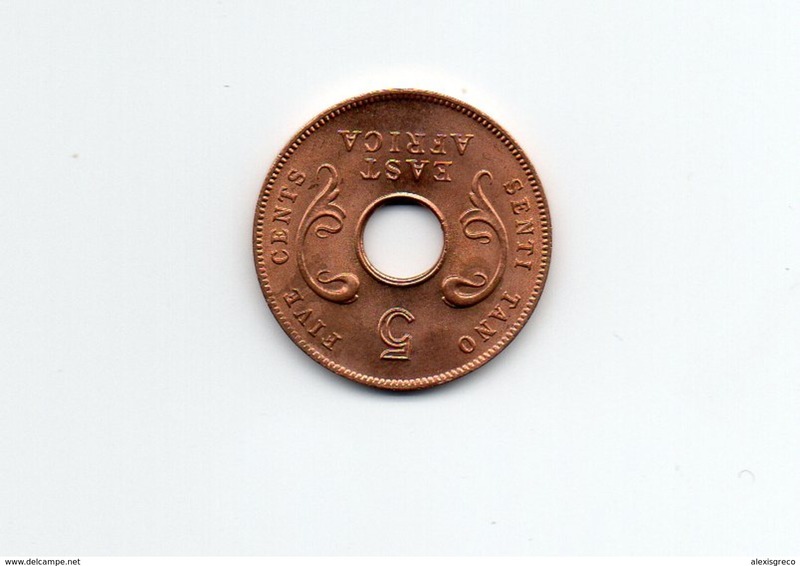 british. 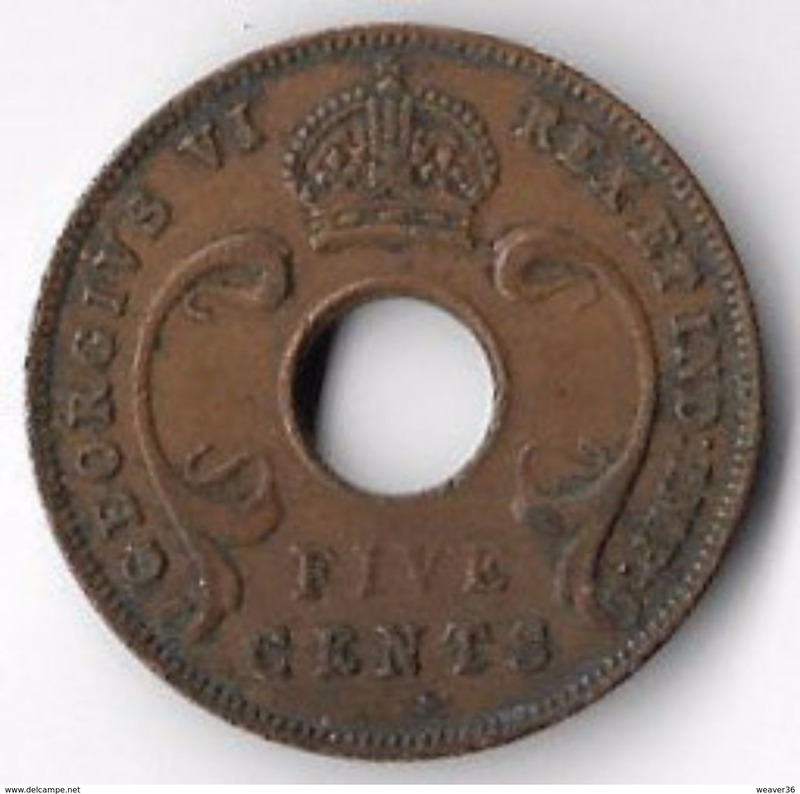 Eastern Africa and uganda 25 1941 I Type 1 very fine Bronze very fine 1941 5 Cents George VI. 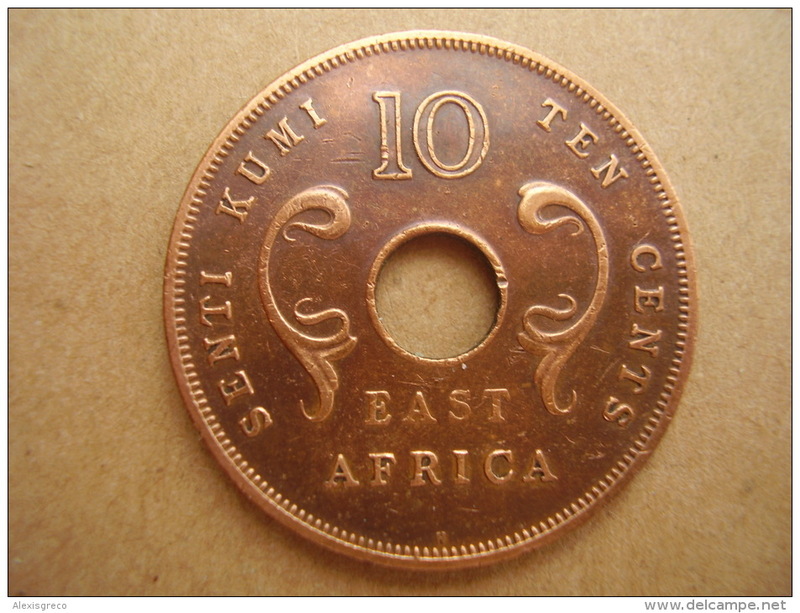 BRITISH EAST AFRICA KUT ONE CENT COINS BRONZE of 1959 H - TEN all the SAME USED (KN) Mint Mark. 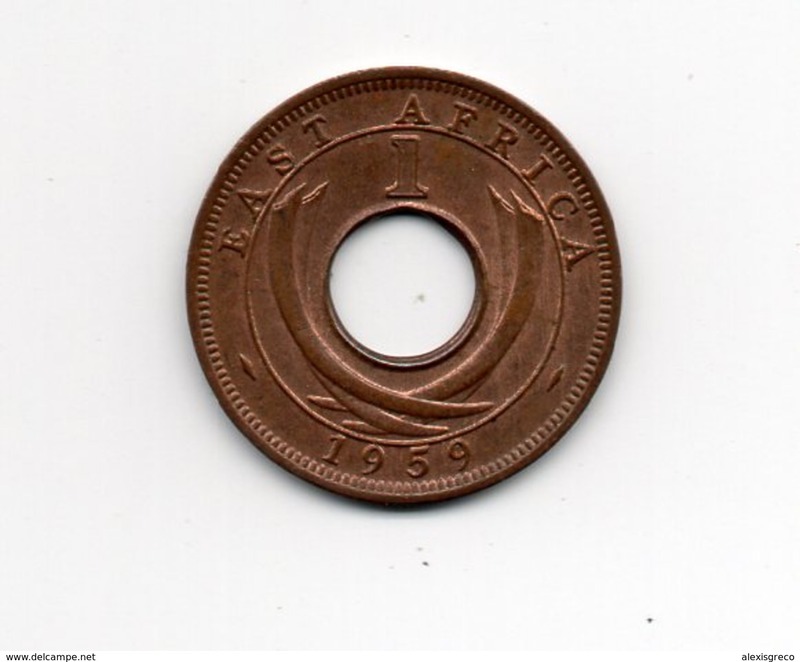 BRITISH EAST AFRICA KUT ONE CENT COINS BRONZE of 1952 - TEN all the SAME USED with mint mark H.
BRITISH EAST AFRICA KUT ONE CENT COINS BRONZE of 1942 - TEN all the SAME USED no mint mark. 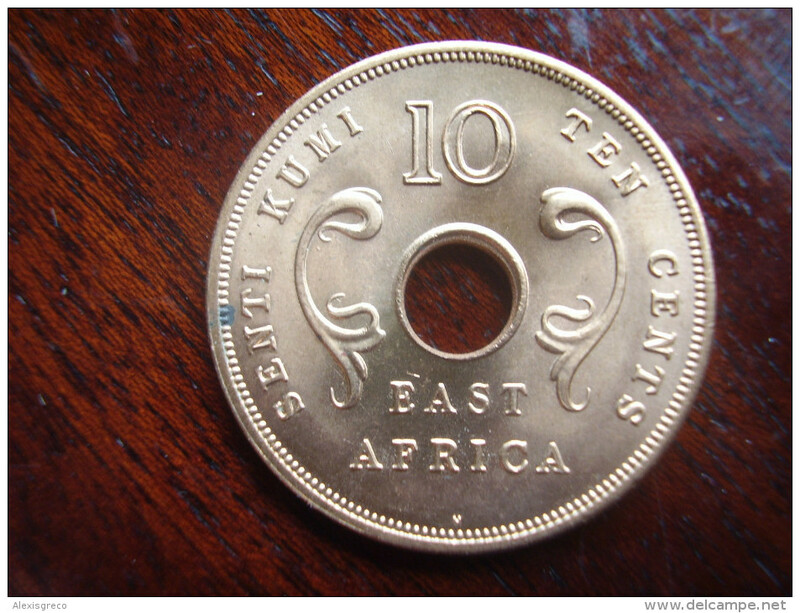 BRITISH EAST AFRICA KUT ONE CENT COINS BRONZE of 1956 - TEN all the SAME USED (KN) Mint Mark..
BRITISH EAST AFRICA KUT ONE CENT COINS BRONZE of 1956 - TEN all the SAME USED (H) Mint Mark..
BRITISH EAST AFRICA KUT ONE CENT COINS BRONZE of 1959 - TEN all the SAME USED (KN) Mint Mark. 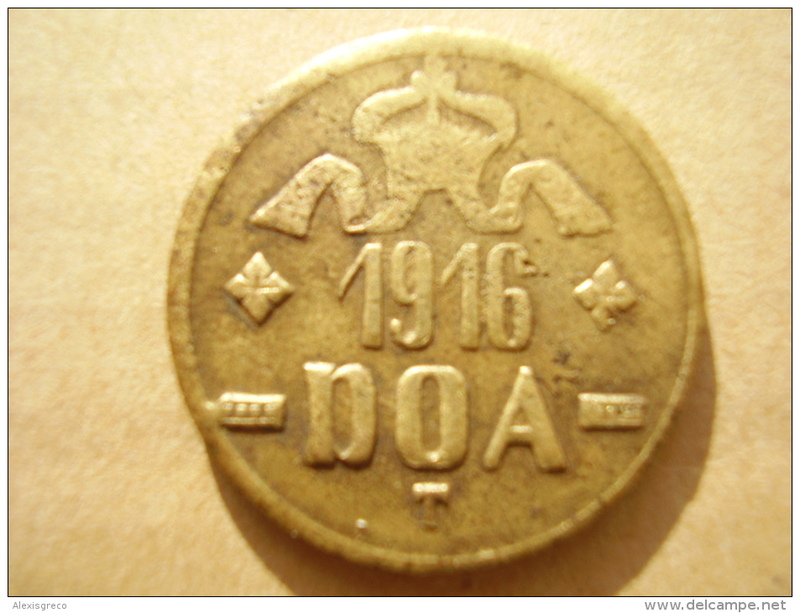 DOA 1916 EMERGENCY TABORA COINS 20 HELLER BRASS TYPE ´A-B´. 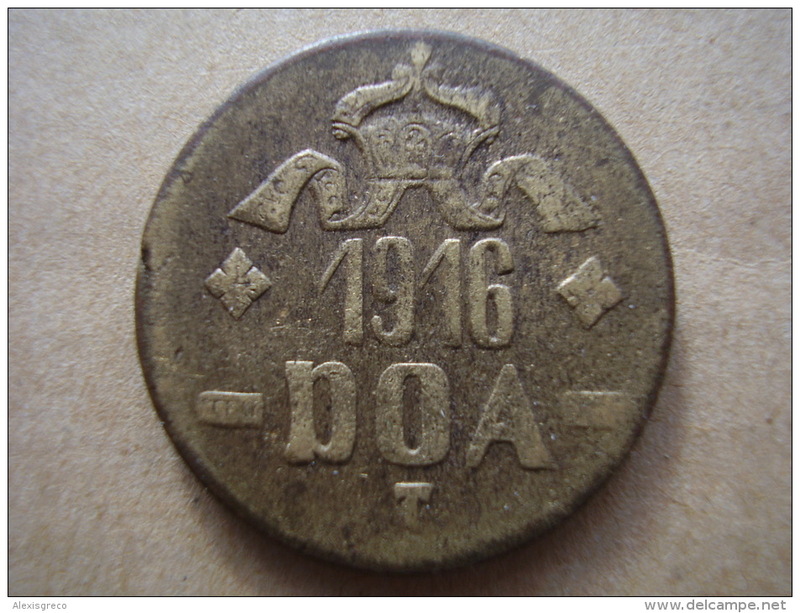 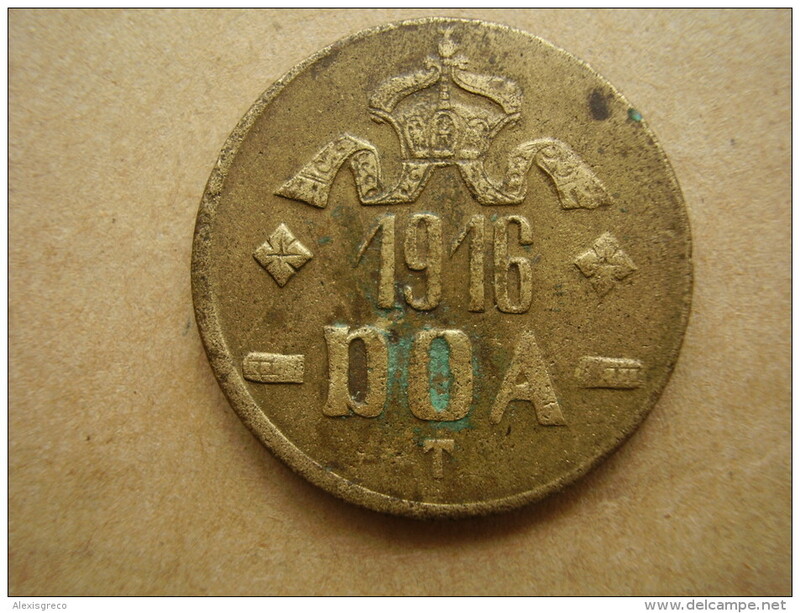 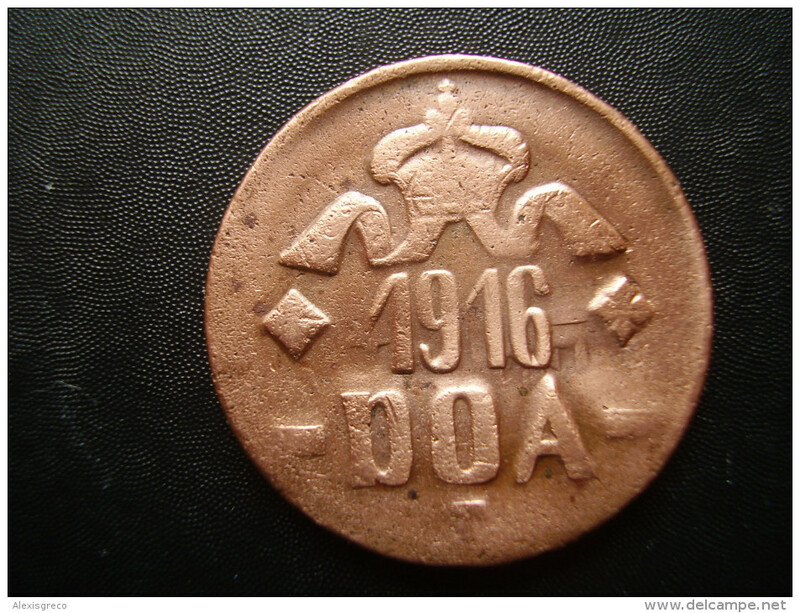 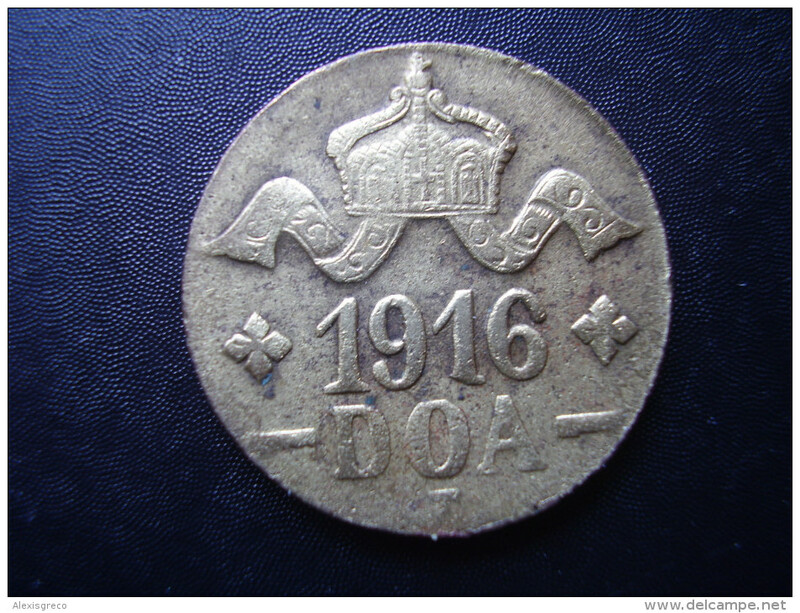 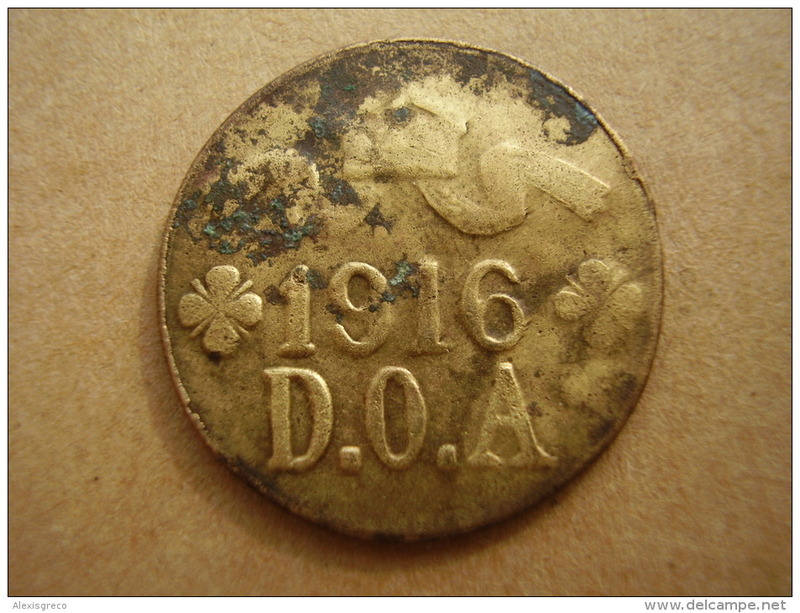 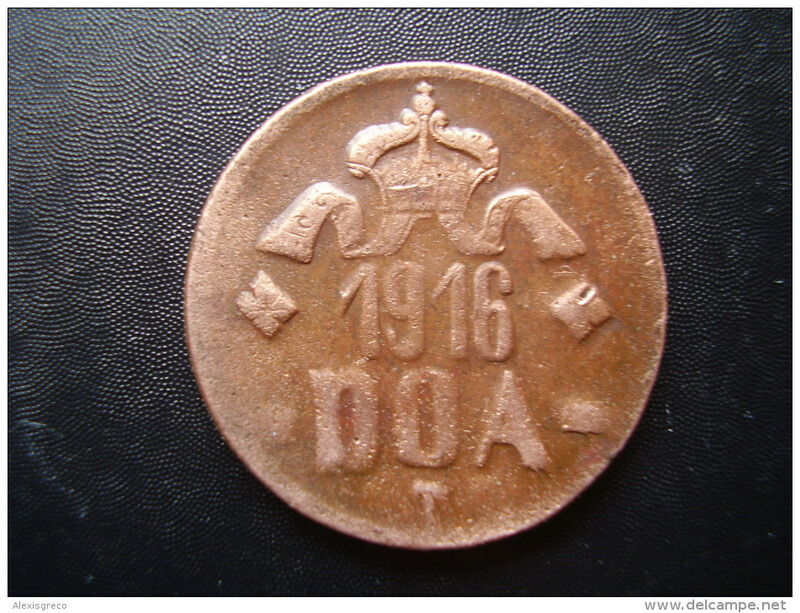 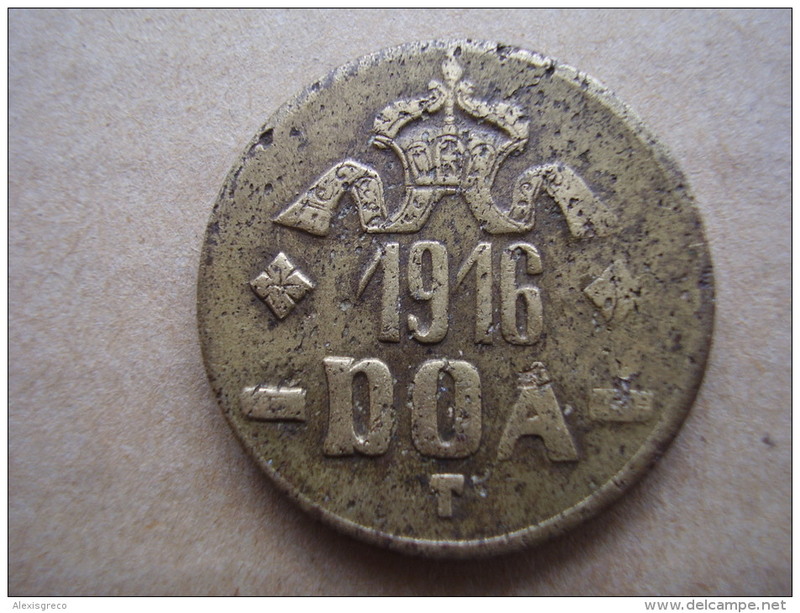 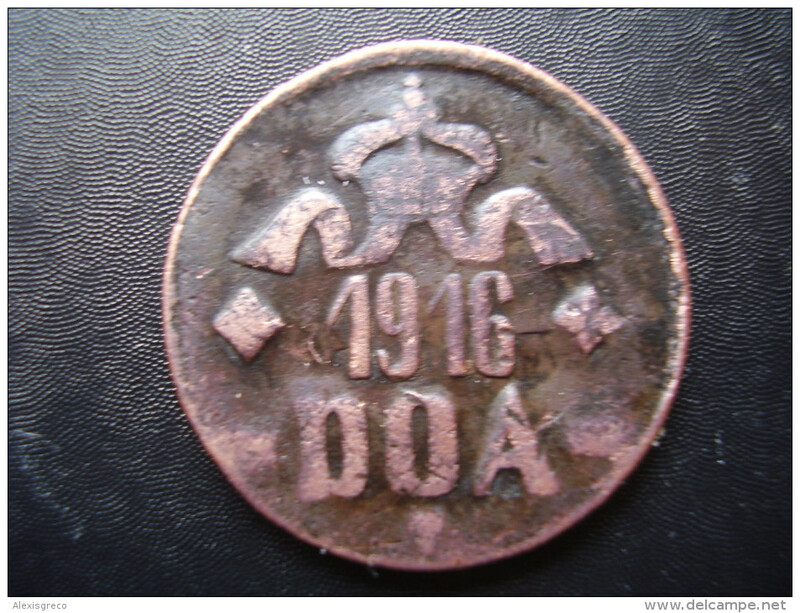 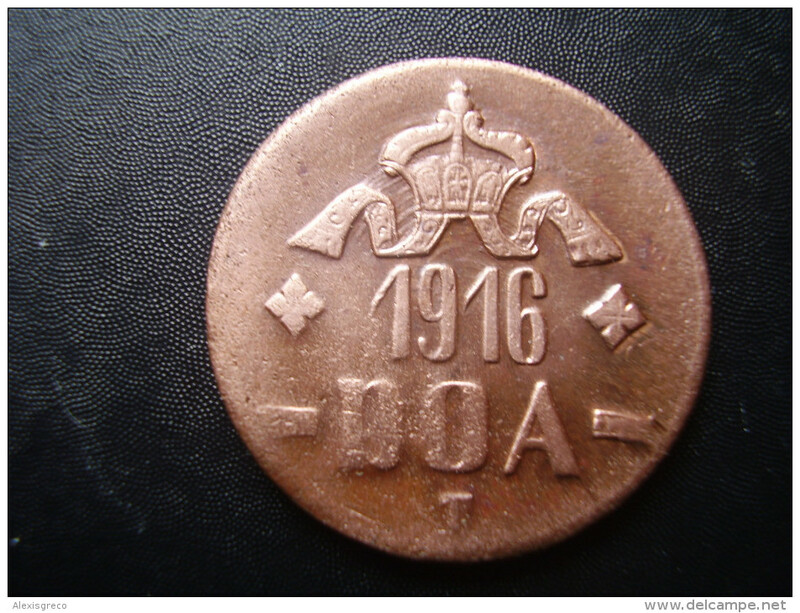 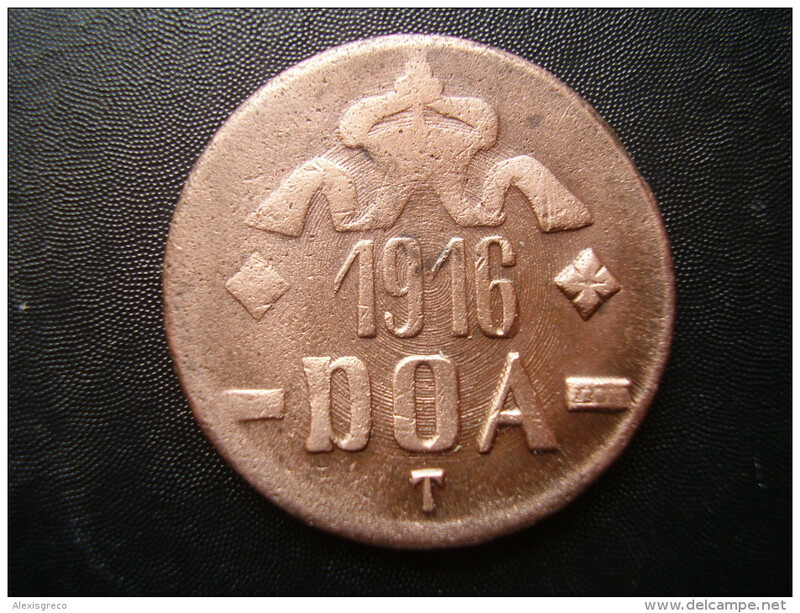 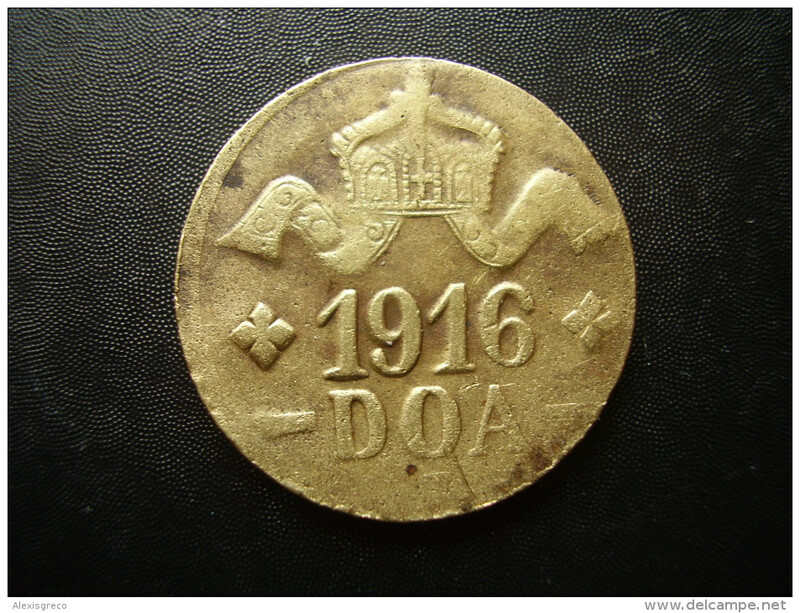 DOA 1916 EMERGENCY TABORA COINS 20 HELLER BRASS TYPE ´A-A´. 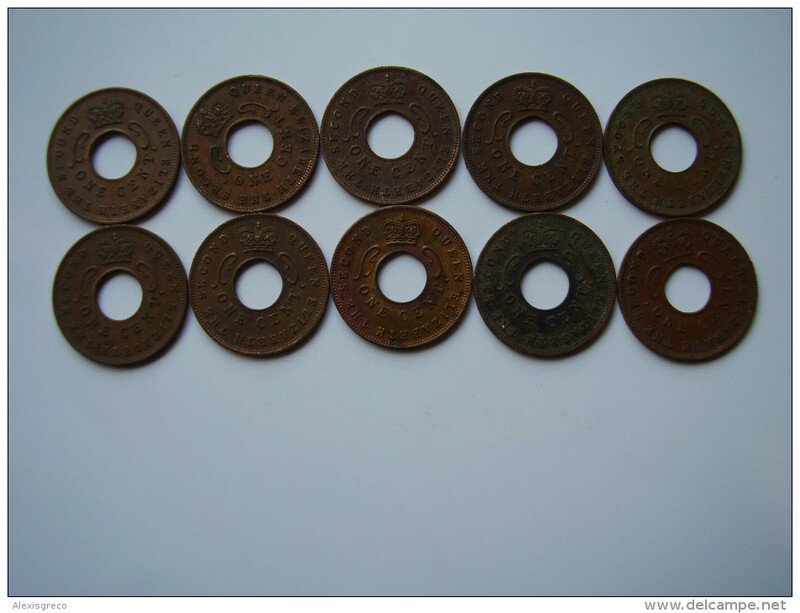 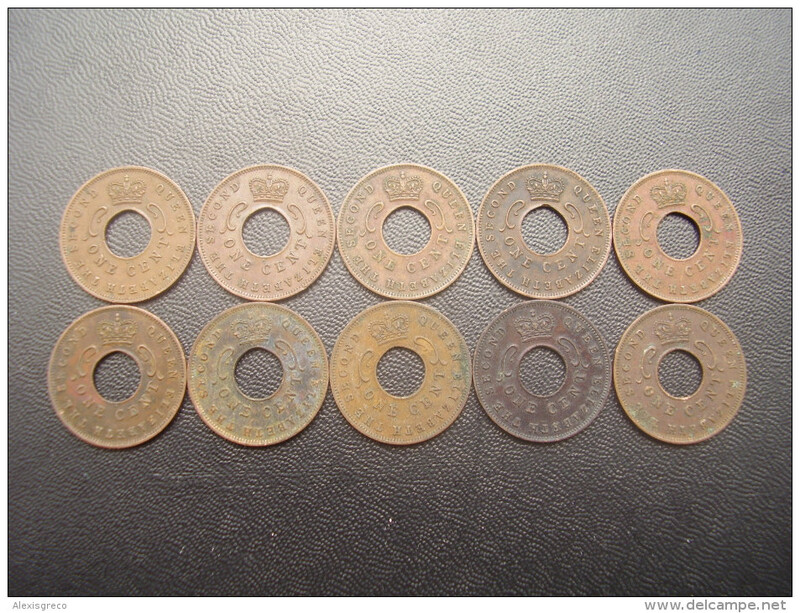 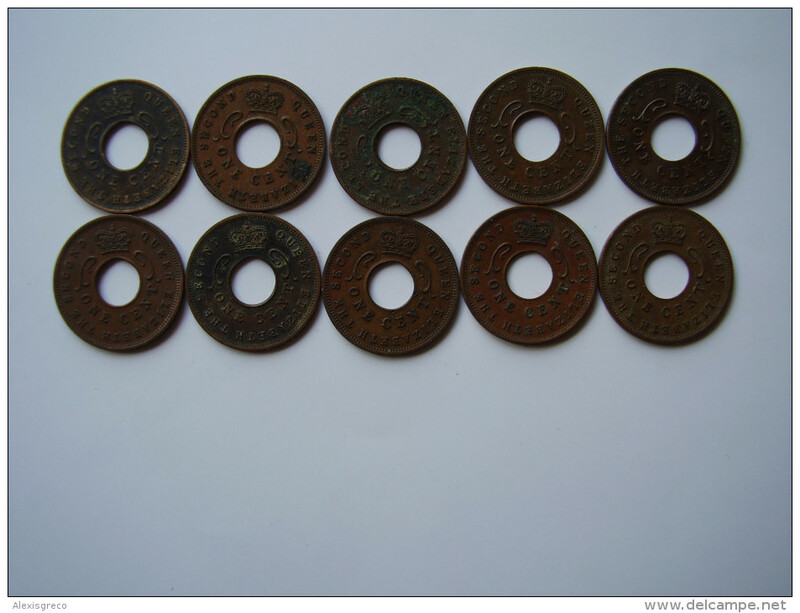 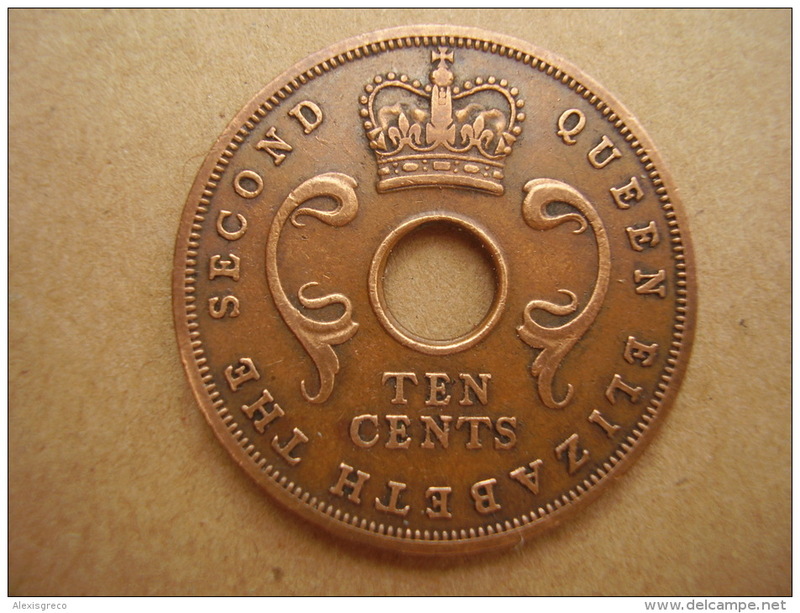 DOA 1916 EMERGENCY TABORA COINS 20 HELLER COPPER TYPE B - B .
BRITISH EAST AFRICA USED ONE CENT COIN BRONZE of 1957 KN. 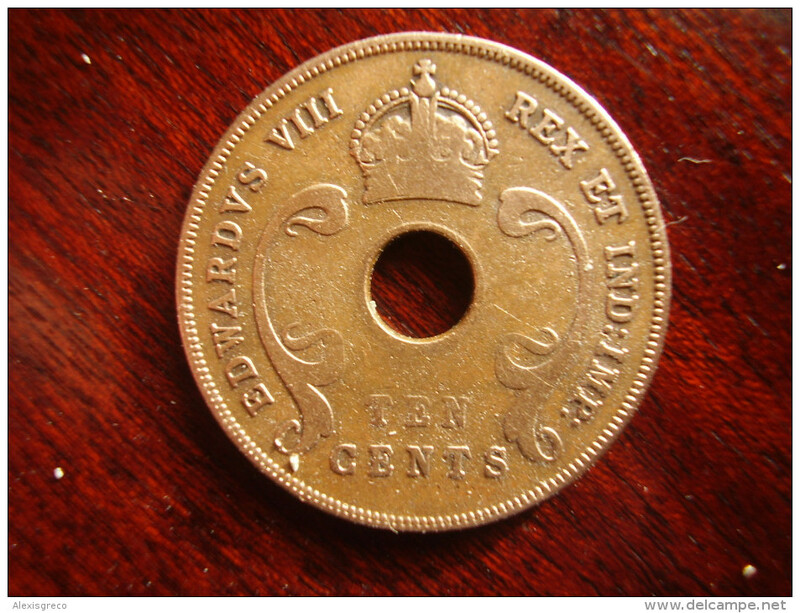 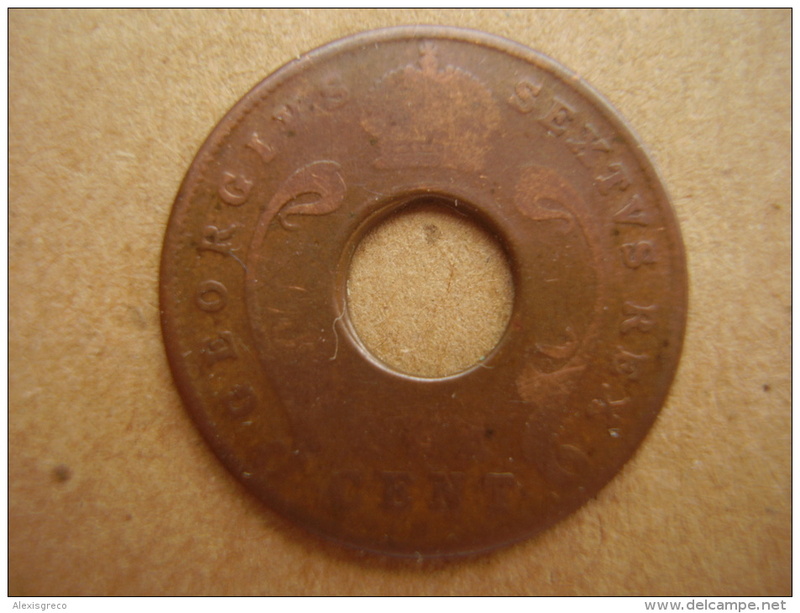 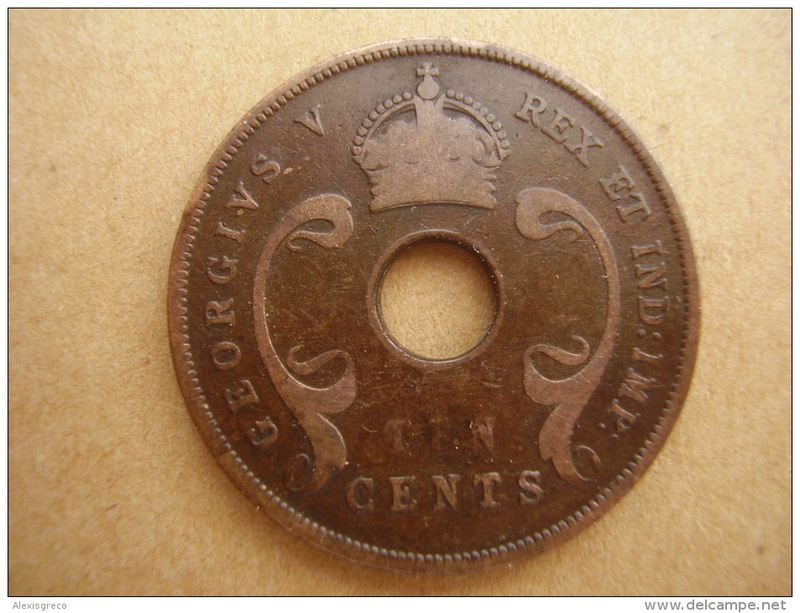 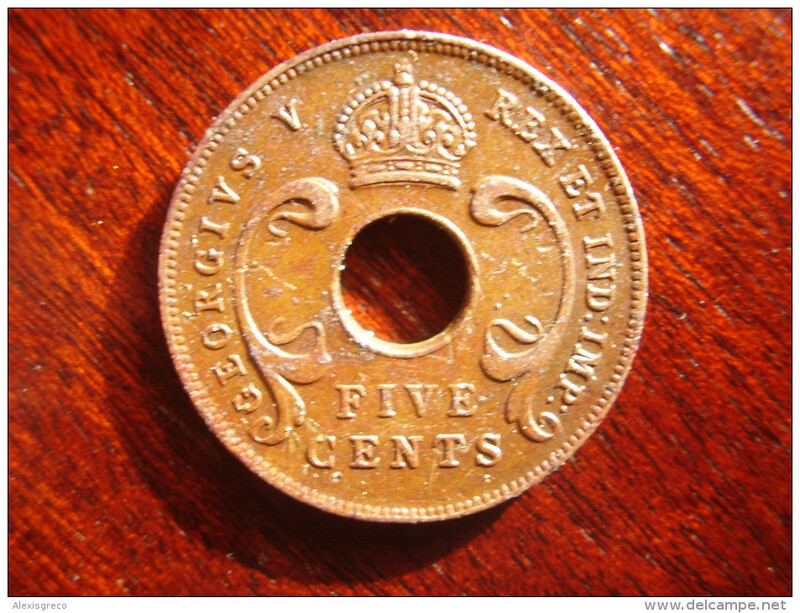 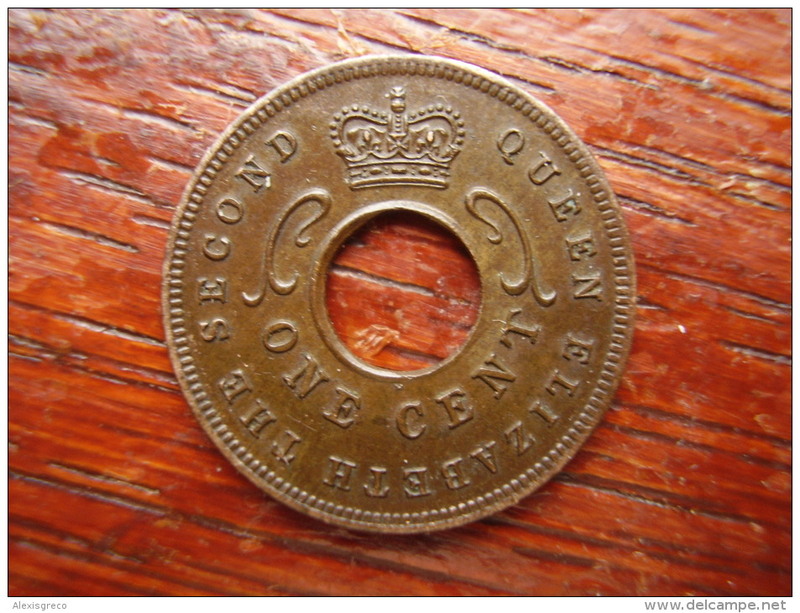 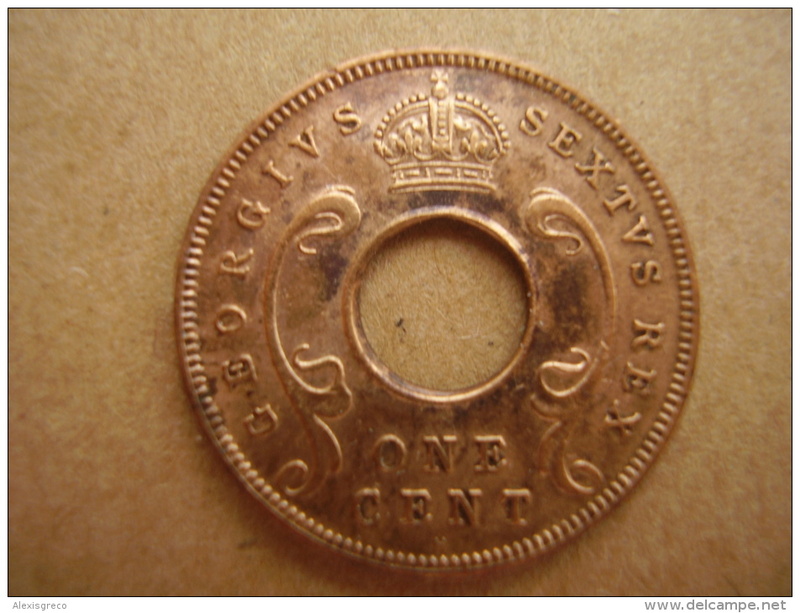 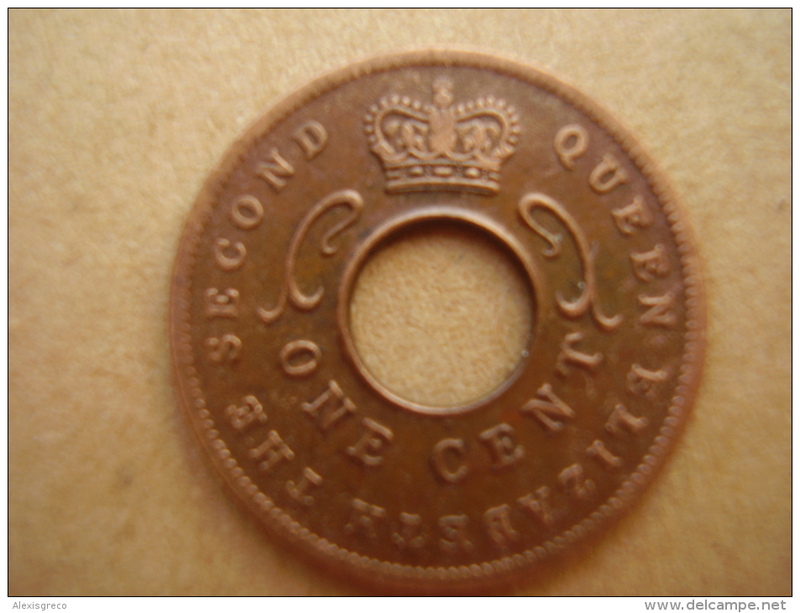 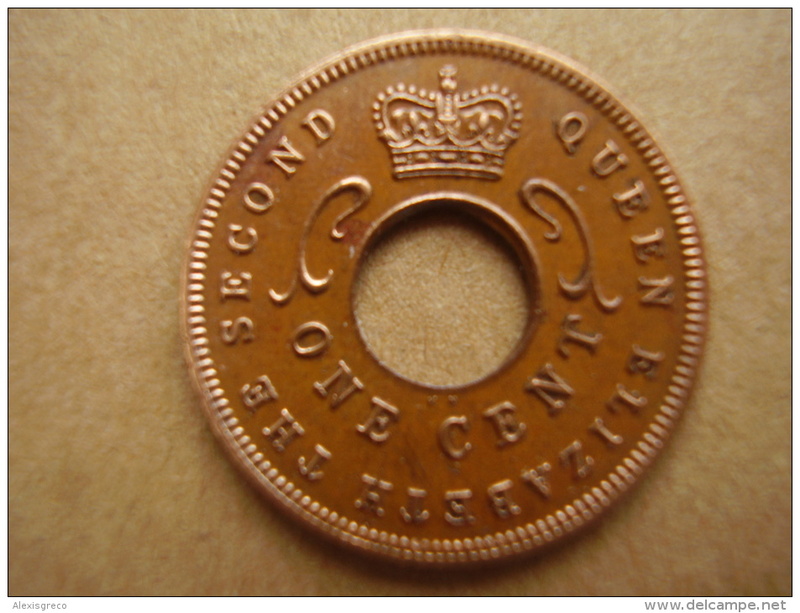 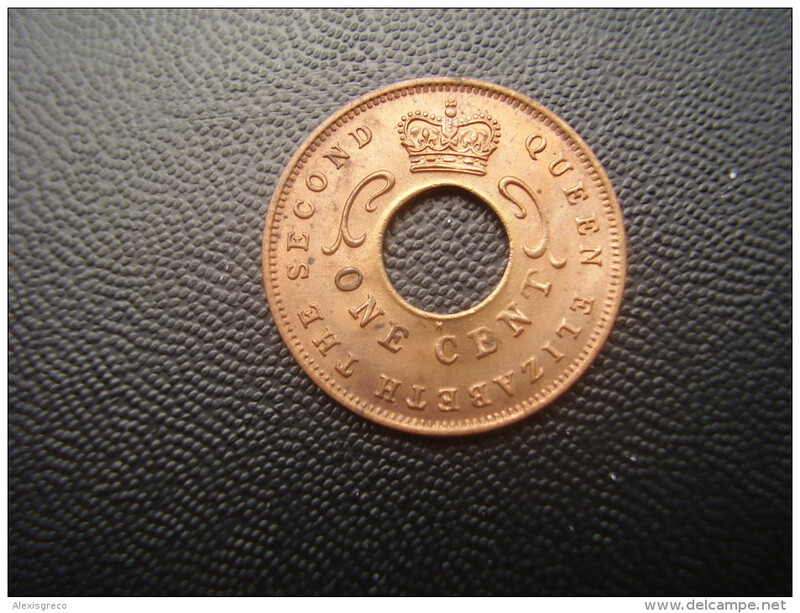 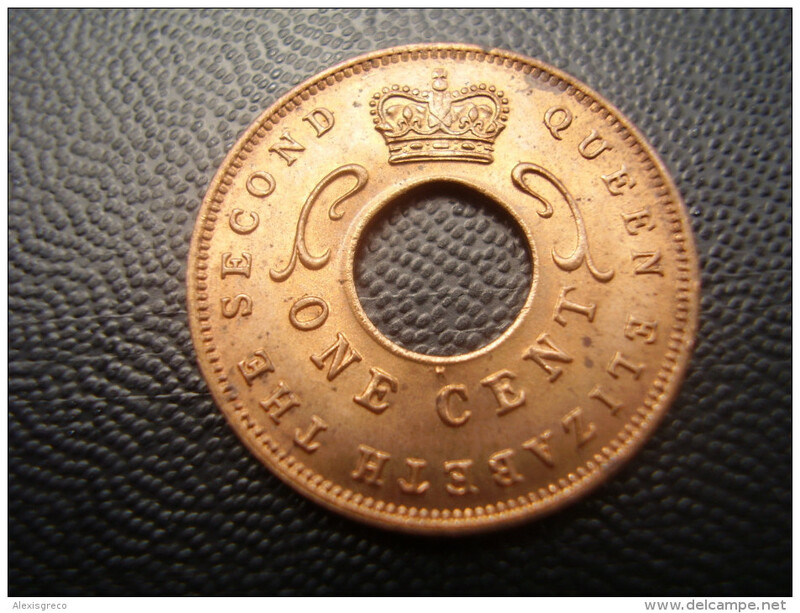 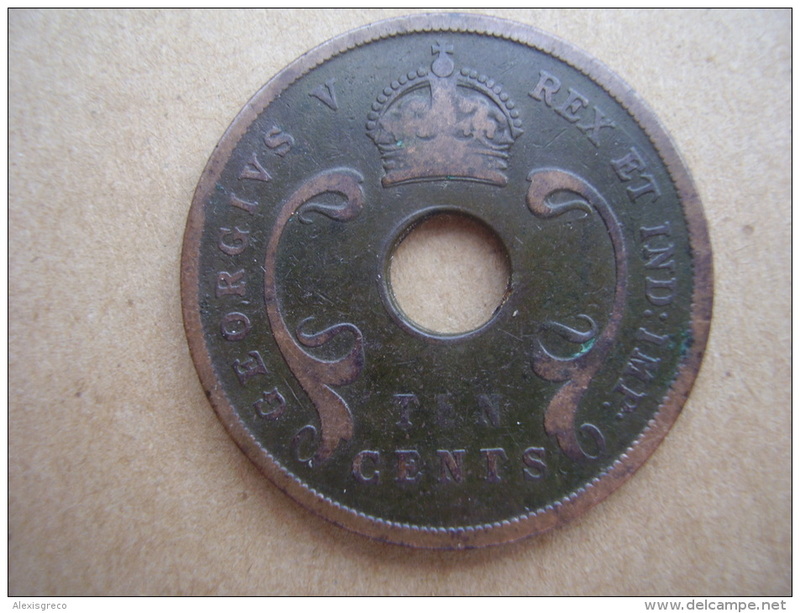 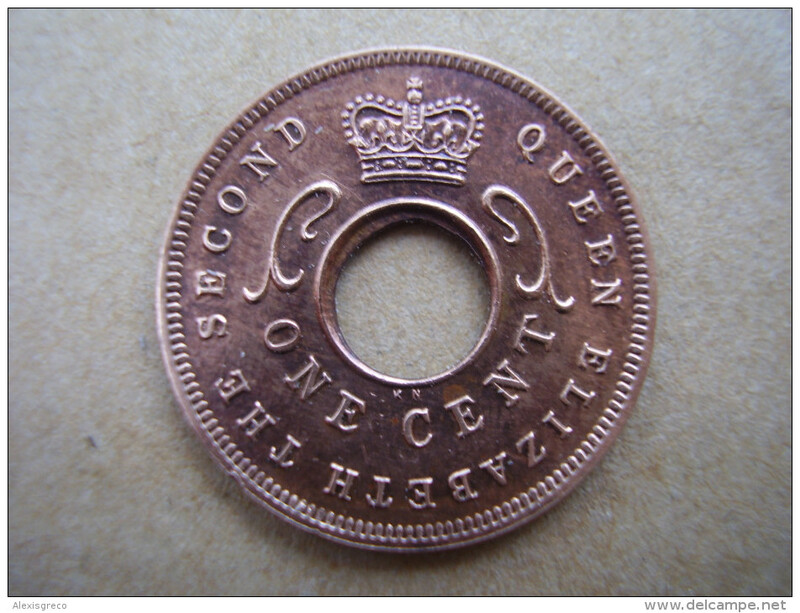 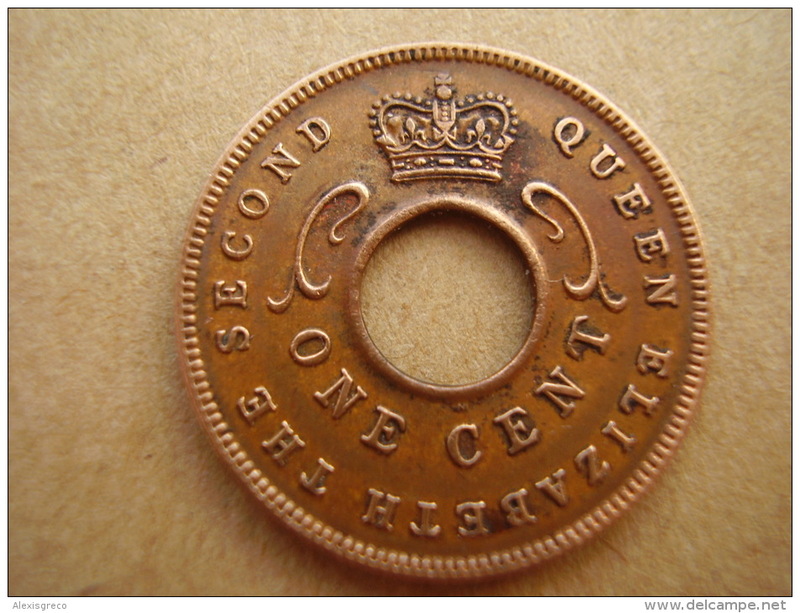 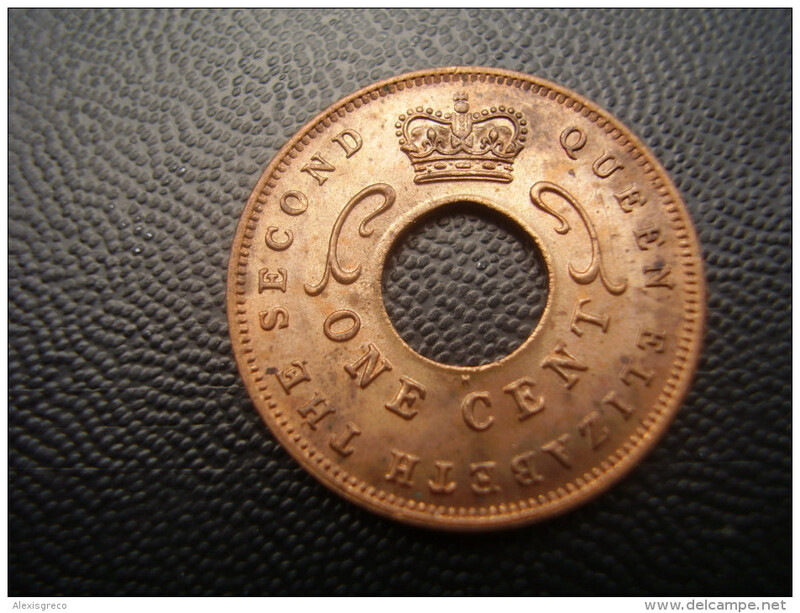 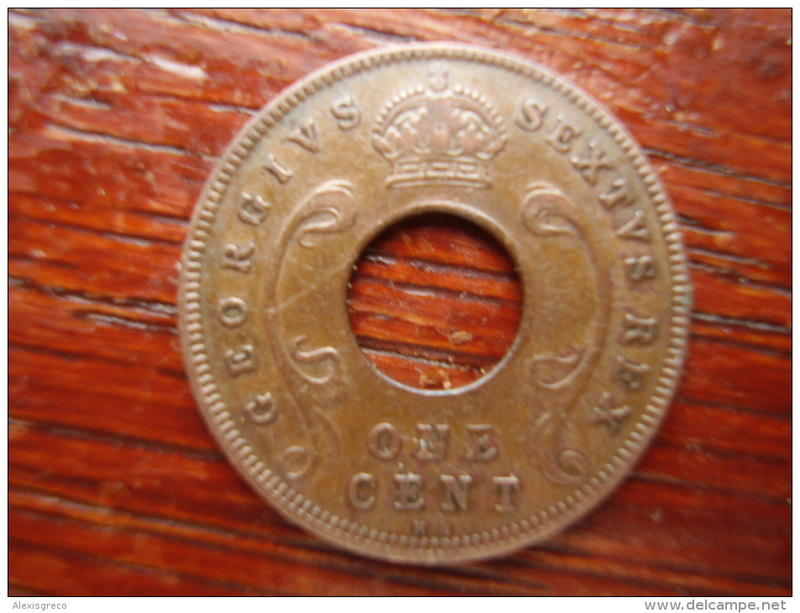 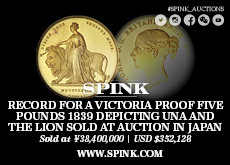 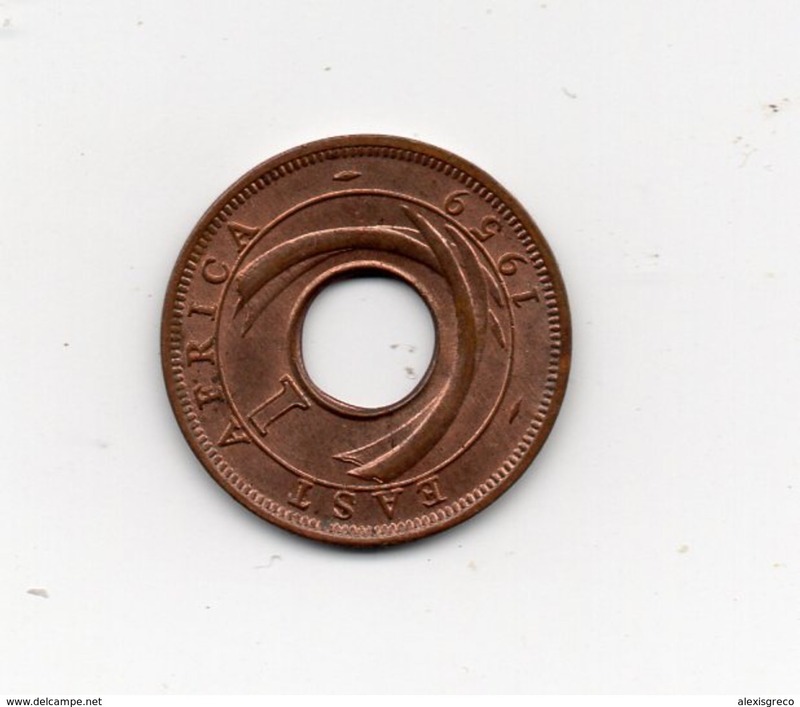 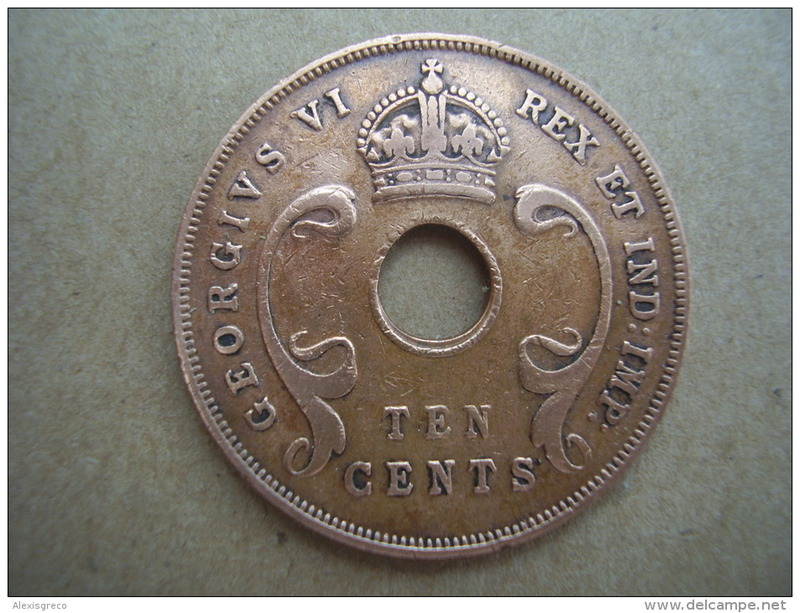 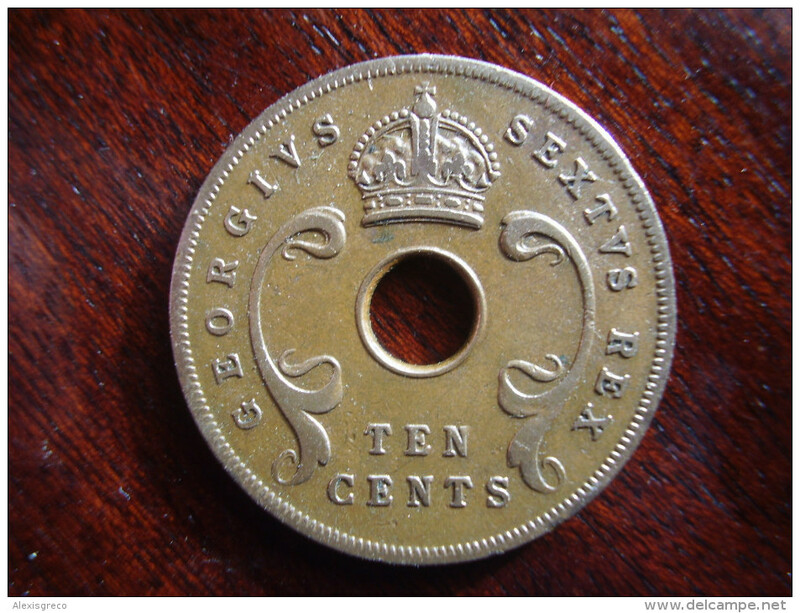 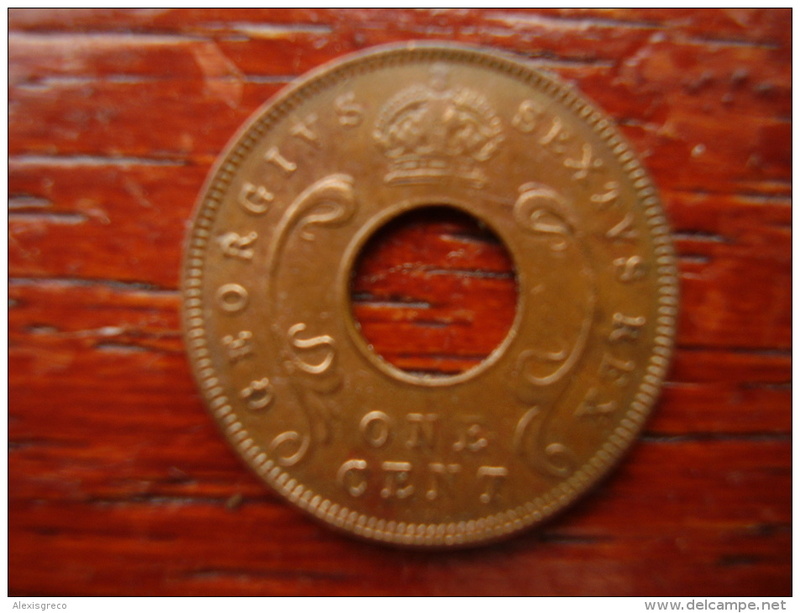 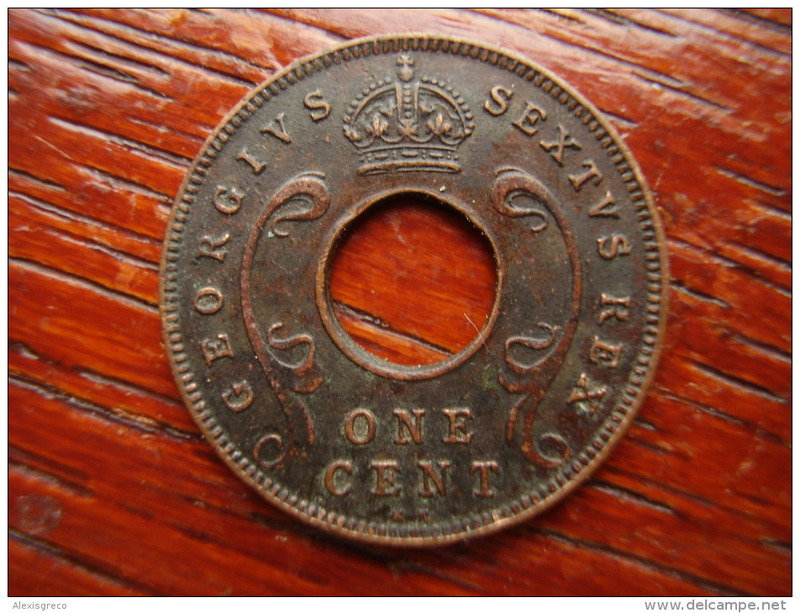 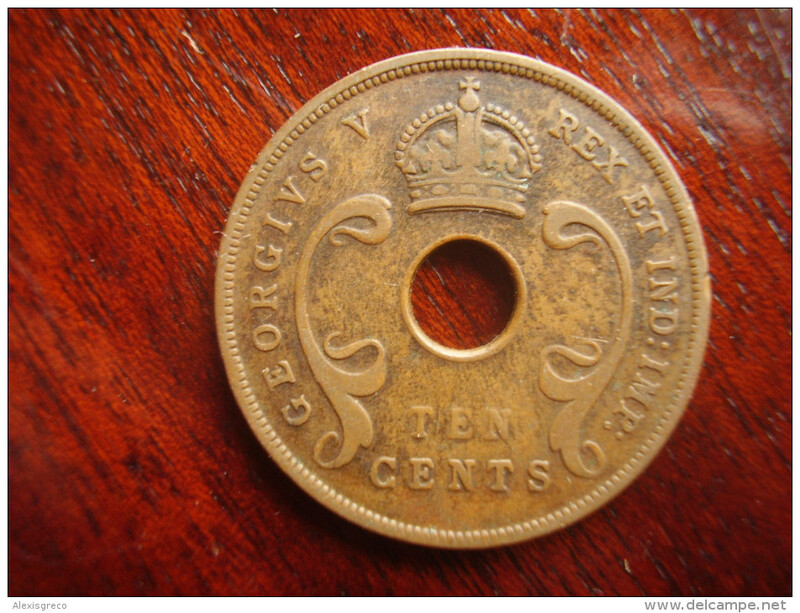 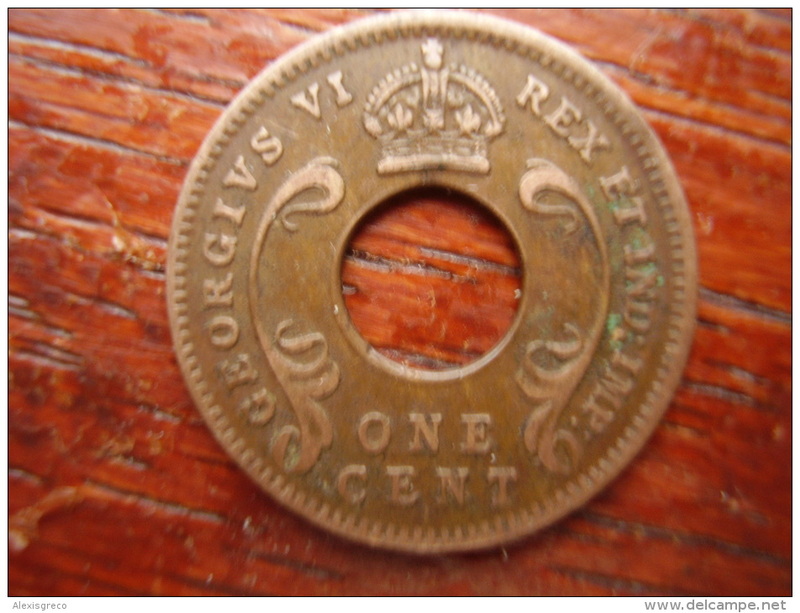 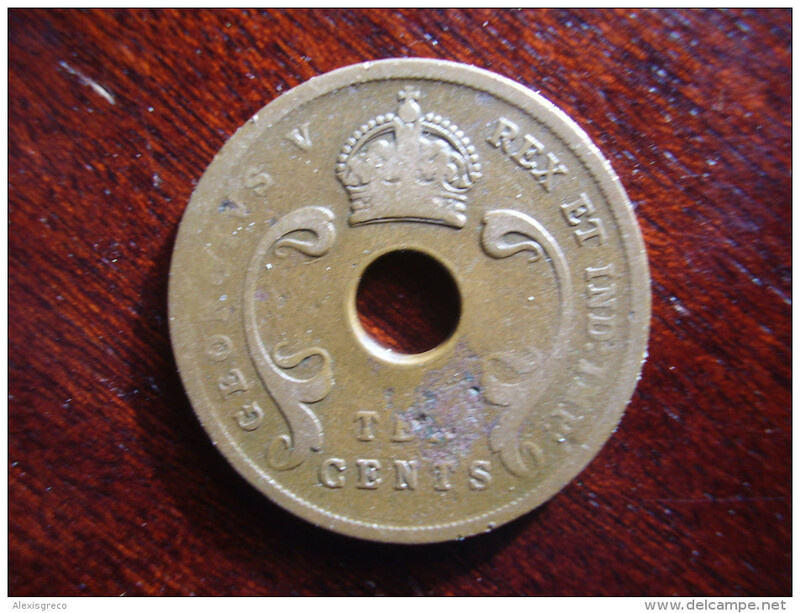 BRITISH EAST AFRICA USED ONE CENT COIN BRONZE of 1924 . 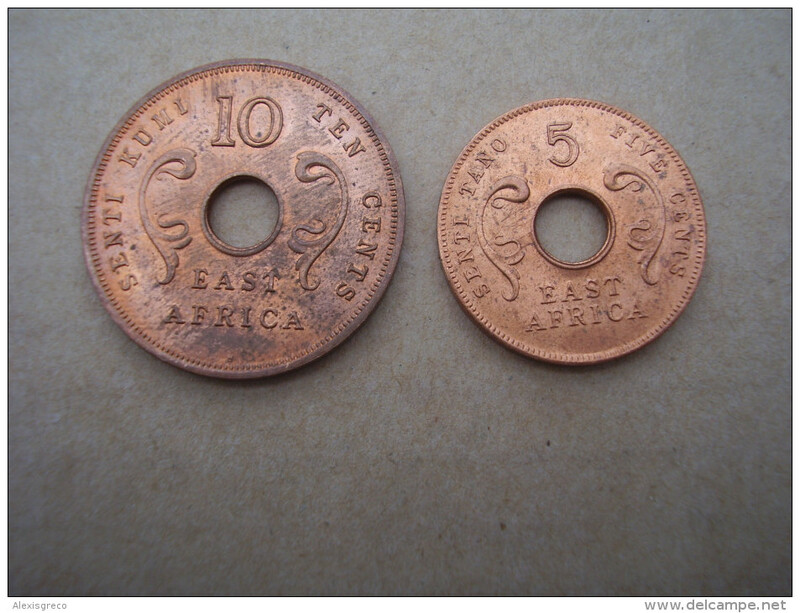 BRITISH EAST AFRICA 1964 UNCIRCULATED COINS FIVE & TEN CENTS PAIR. 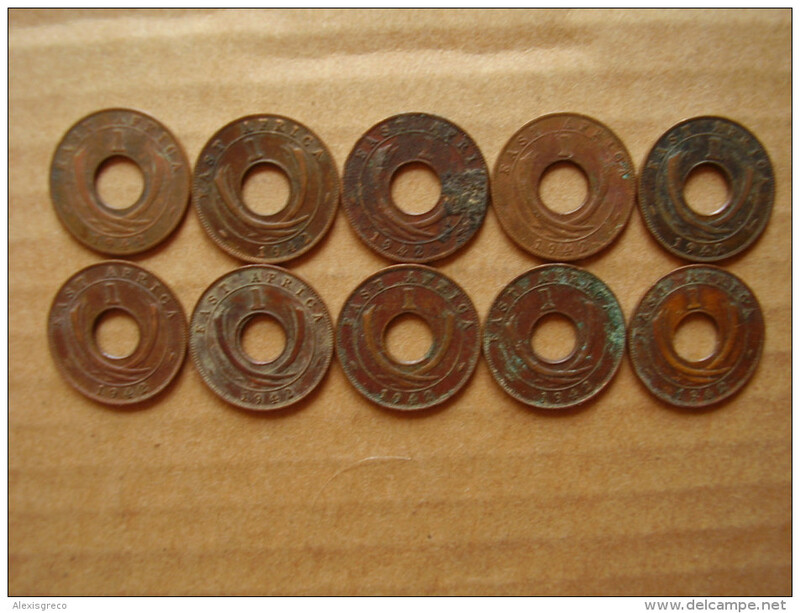 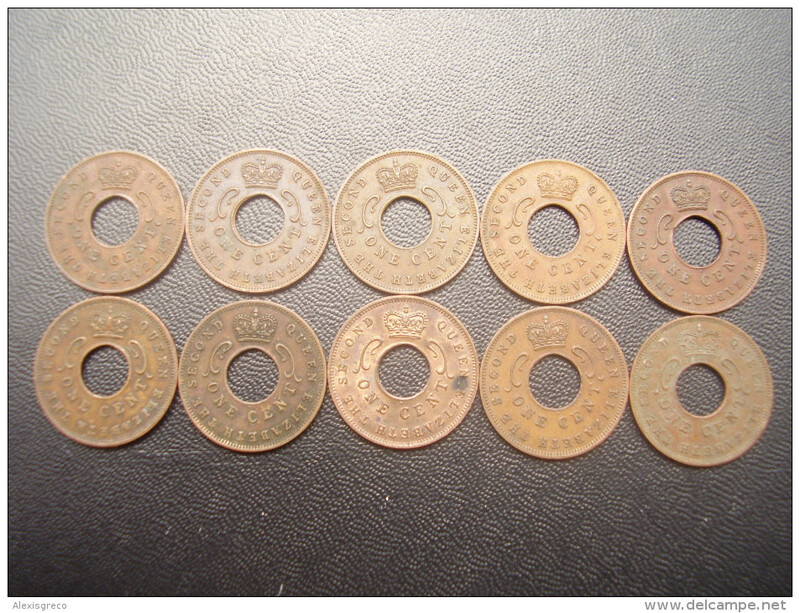 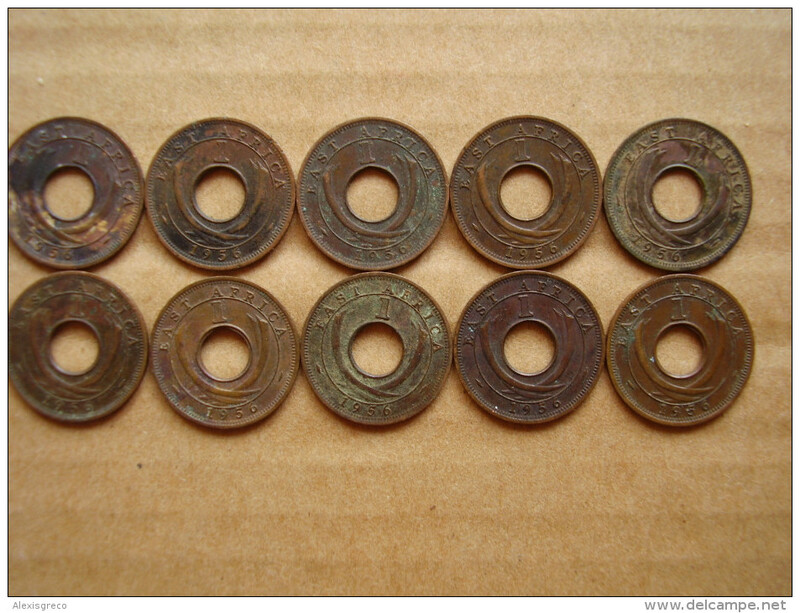 BRITISH EAST AFRICA USED FIVE CENT COIN BRONZE of 1921 - GEORGE V.
BRITISH EAST AFRICA USED FIVE CENT COIN BRONZE of 1924 - GEORGE V.
BRITISH EAST AFRICA USED FIVE CENT COIN BRONZE of 1925 - GEORGE V.
BRITISH EAST AFRICA USED FIVE CENT COIN BRONZE of 1928 - GEORGE V.
BRITISH EAST AFRICA USED FIVE CENT COIN BRONZE of 1933 - GEORGE V.
BRITISH EAST AFRICA USED FIVE CENT COIN BRONZE of 1934 - GEORGE V.
BRITISH EAST AFRICA USED FIVE CENT COIN BRONZE of 1935 - GEORGE V.
BRITISH EAST AFRICA USED TEN CENT COIN BRONZE of 1923 - GEORGE V.
BRITISH EAST AFRICA USED TEN CENT COIN BRONZE of 1924 - GEORGE V.
BRITISH EAST AFRICA USED TEN CENT COIN BRONZE of 1933 - GEORGE V.
BRITISH EAST AFRICA USED TEN CENT COIN BRONZE of 1935 - GEORGE V.
BRITISH EAST AFRICA USED TEN CENT COIN BRONZE of 1936 - EDWARD VIII. 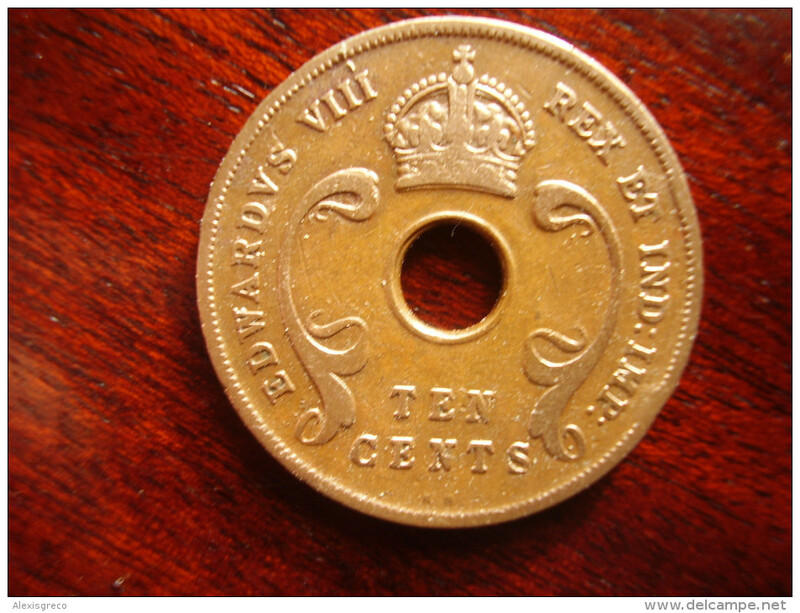 BRITISH EAST AFRICA USED TEN CENT COIN BRONZE of 1936 (H) - EDWARD VIII. 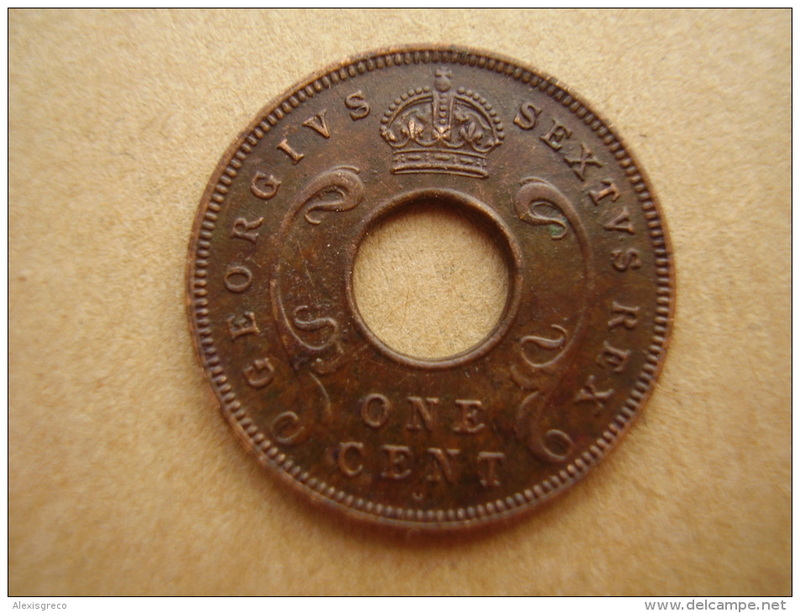 BRITISH EAST AFRICA USED TEN CENT COIN BRONZE of 1936 (KN) - EDWARD VIII. 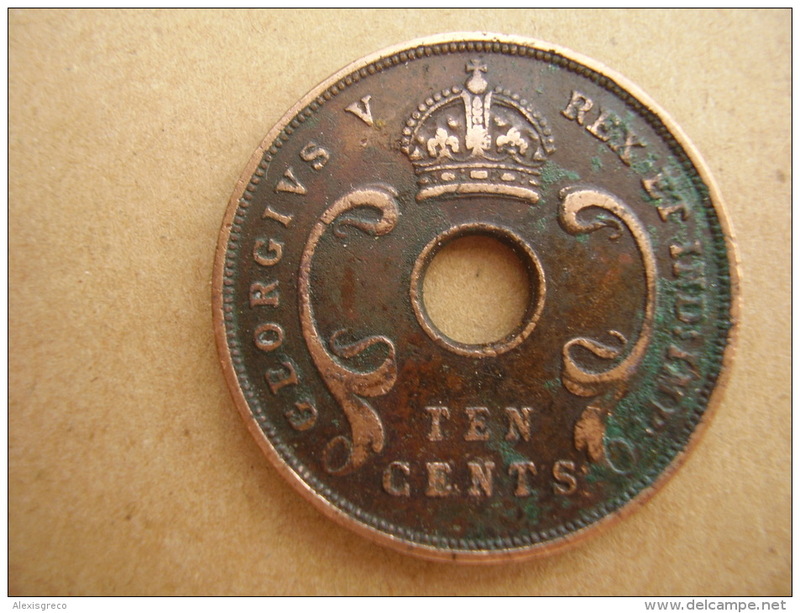 BRITISH EAST AFRICA USED TEN CENT COIN BRONZE of 1937KN - GEORGE VI. 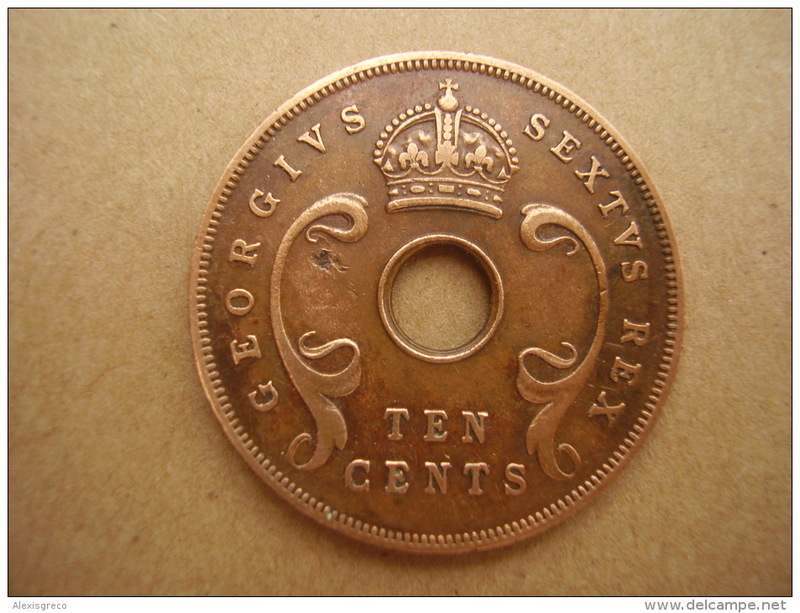 BRITISH EAST AFRICA USED TEN CENT COIN BRONZE of 1939 H - GEORGE VI. 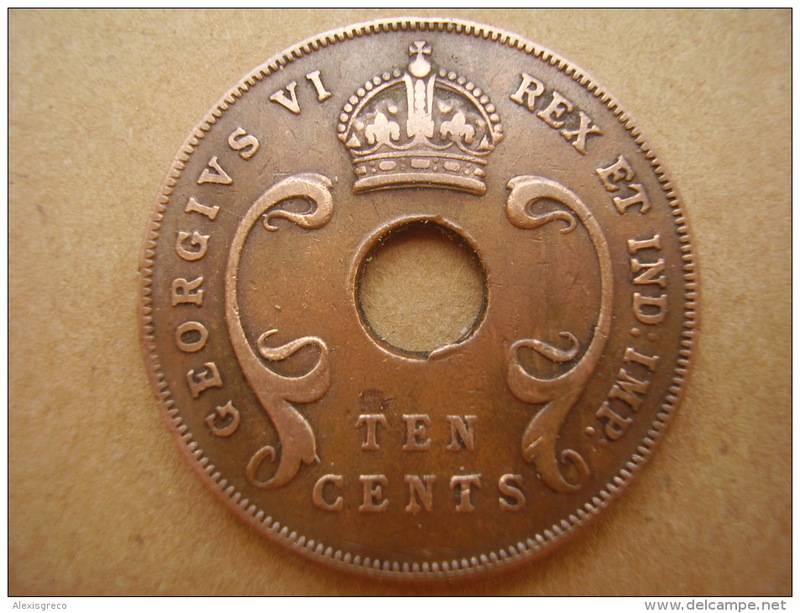 BRITISH EAST AFRICA USED TEN CENT COIN BRONZE of 1949 - GEORGE VI. 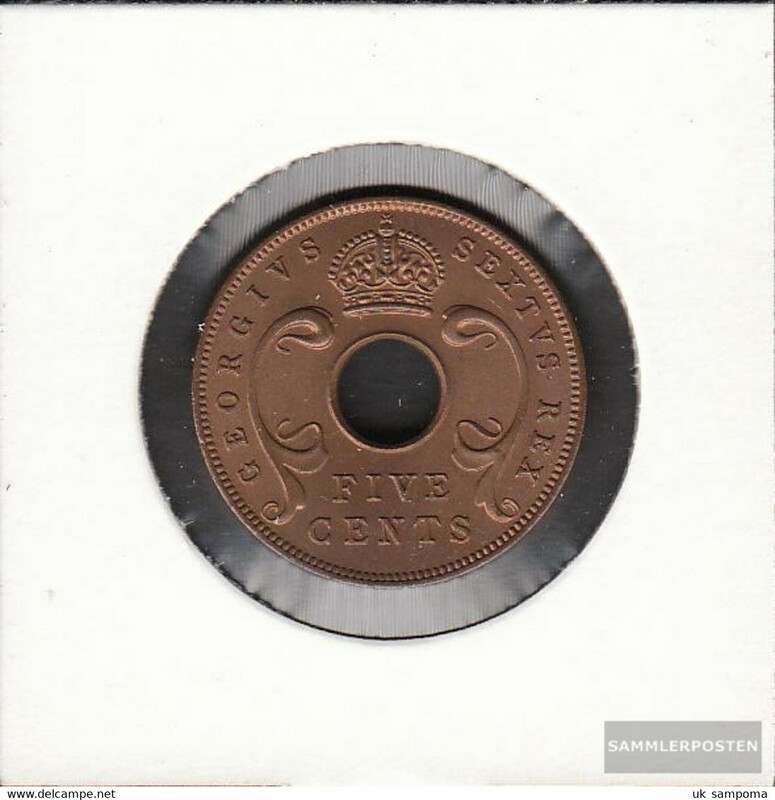 BRITISH EAST AFRICA THREE USED ONE CENT COINS BRONZE of 1957 - ONE of EACH MINT USED. 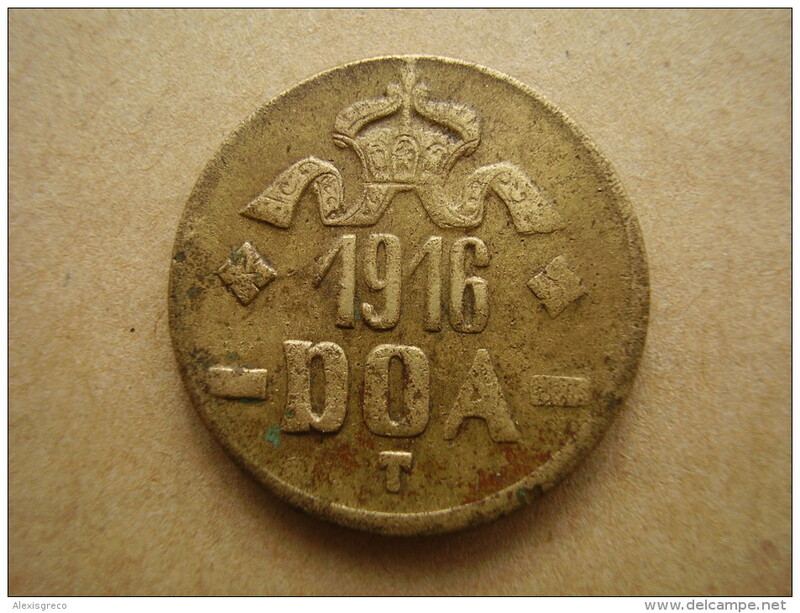 DOA 1916 EMERGENCY TABORA COINS 20 HELLER BRASS TYPE B - B .
BRITISH EAST AFRICA USED ONE CENT COIN BRONZE of 1935 . 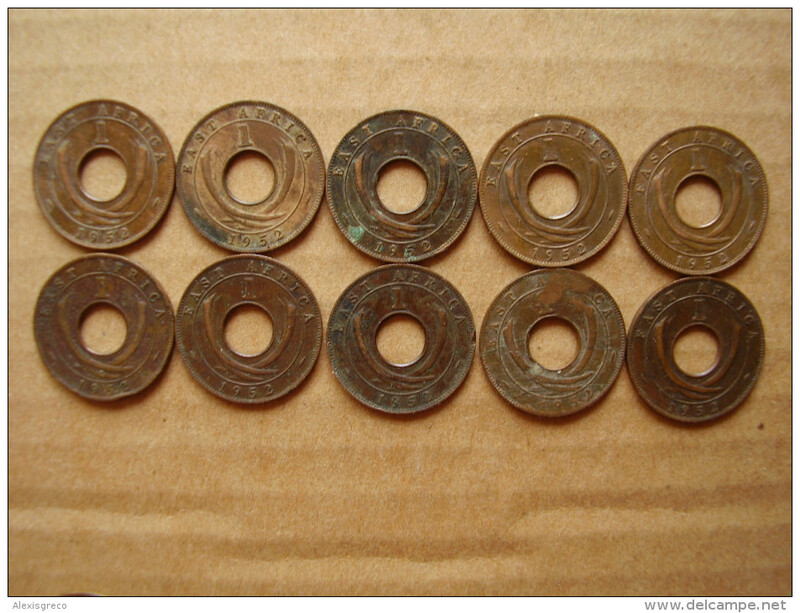 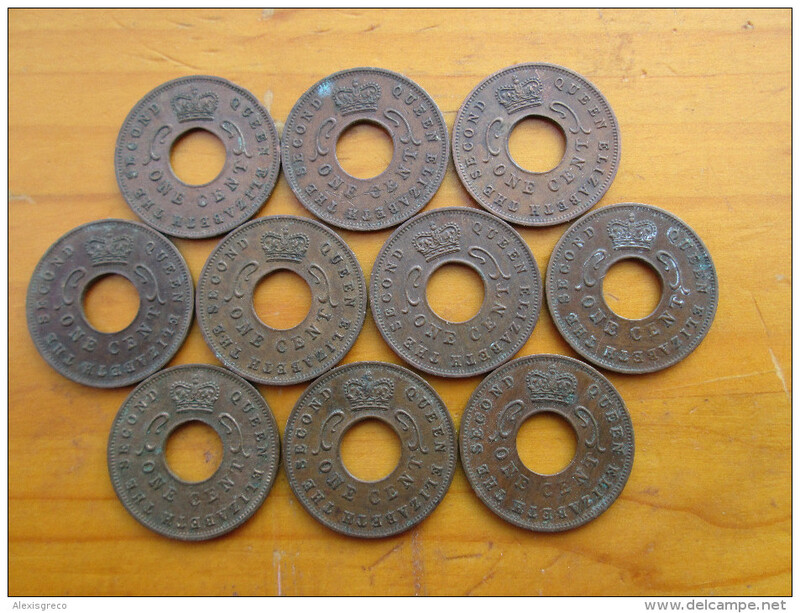 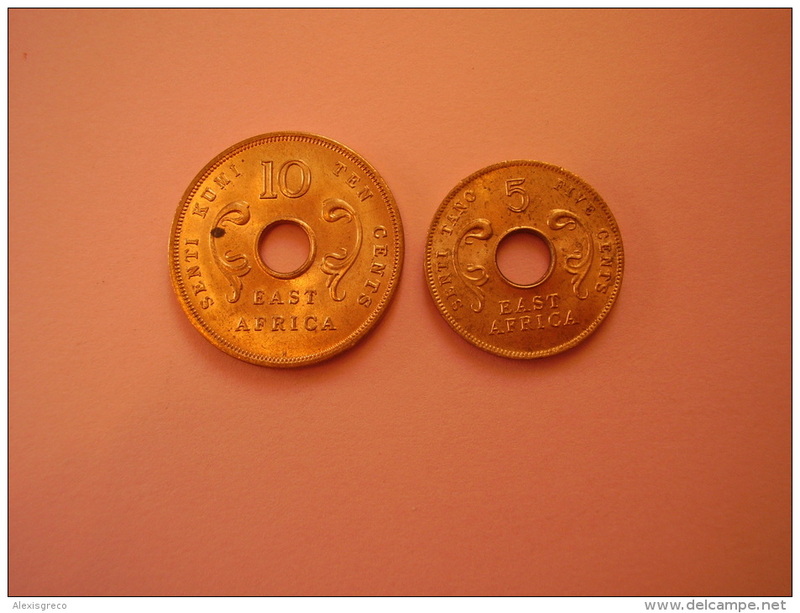 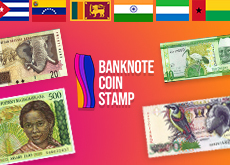 BRITISH EAST AFRICA USED ONE CENT COIN BRONZE of 1955 H.
BRITISH EAST AFRICA USED ONE CENT COIN BRONZE of 1951 KN. 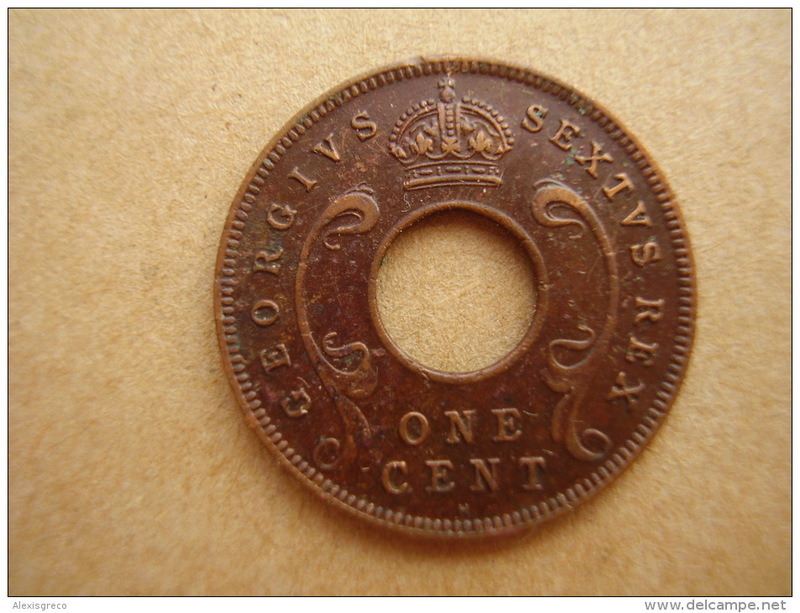 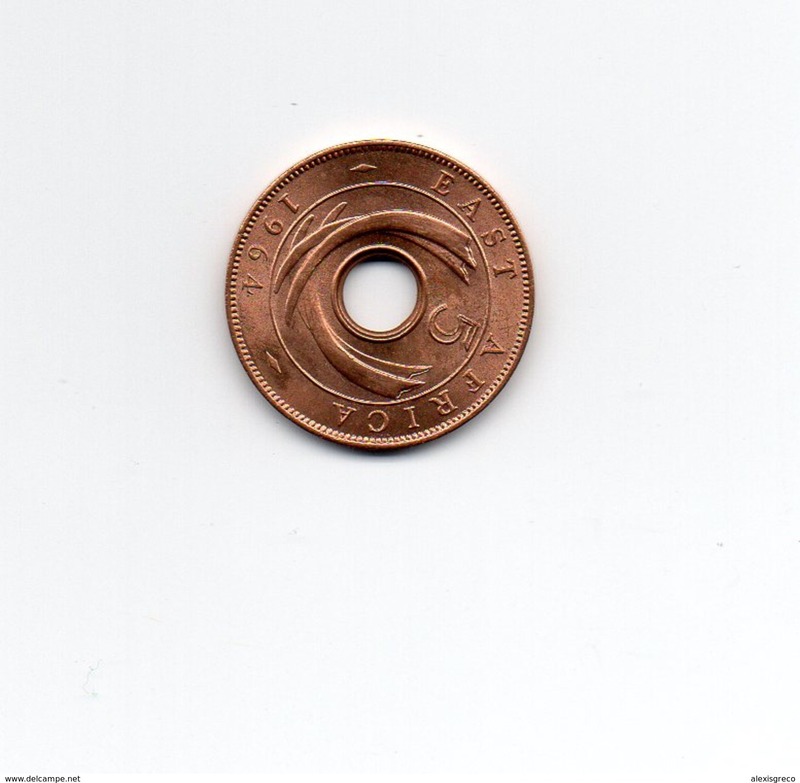 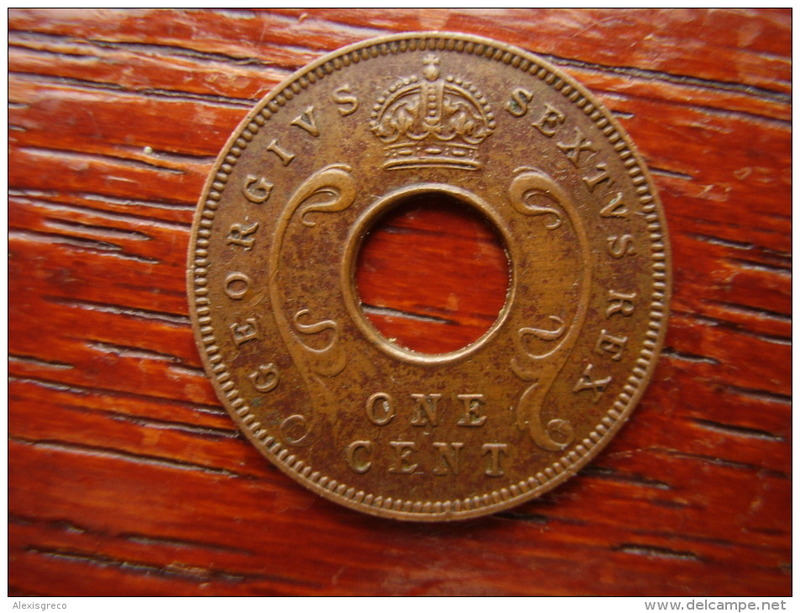 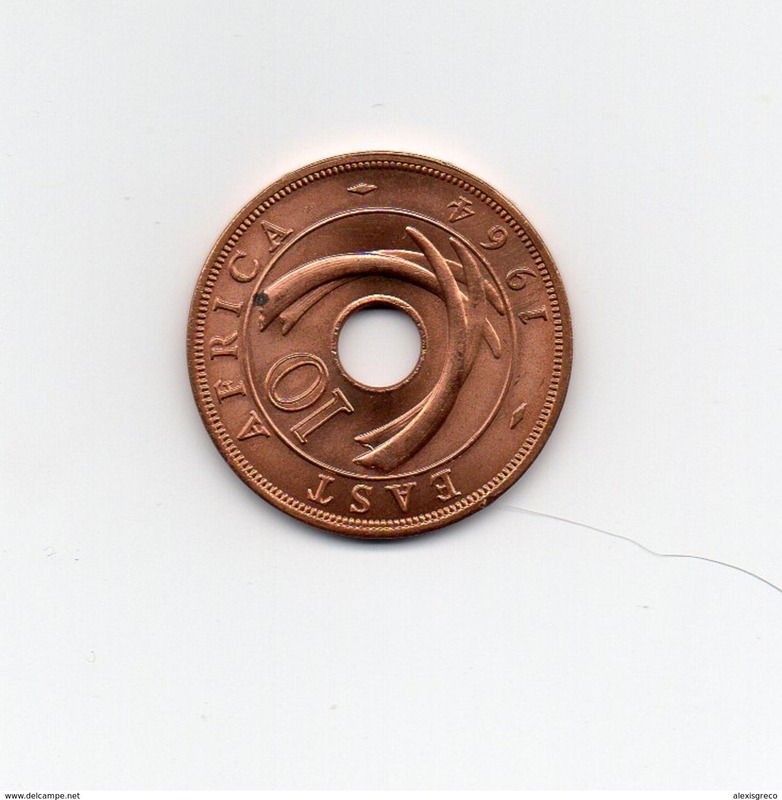 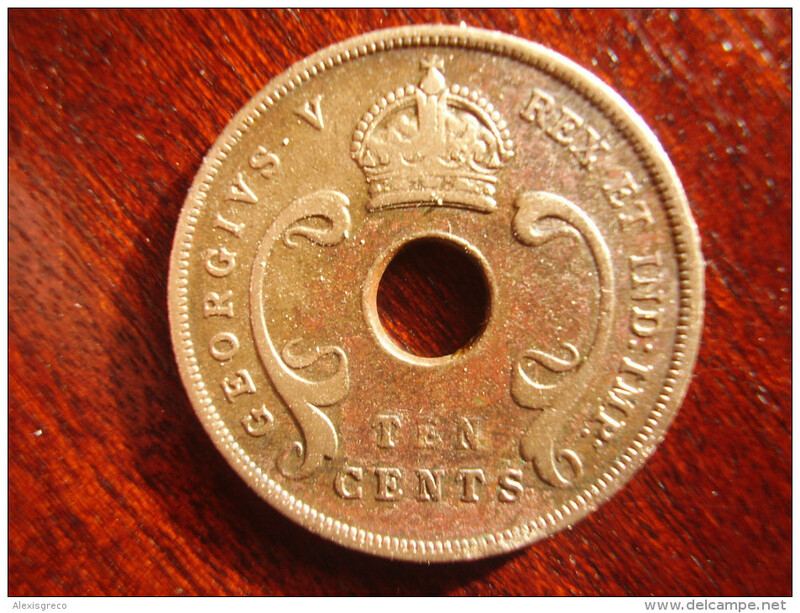 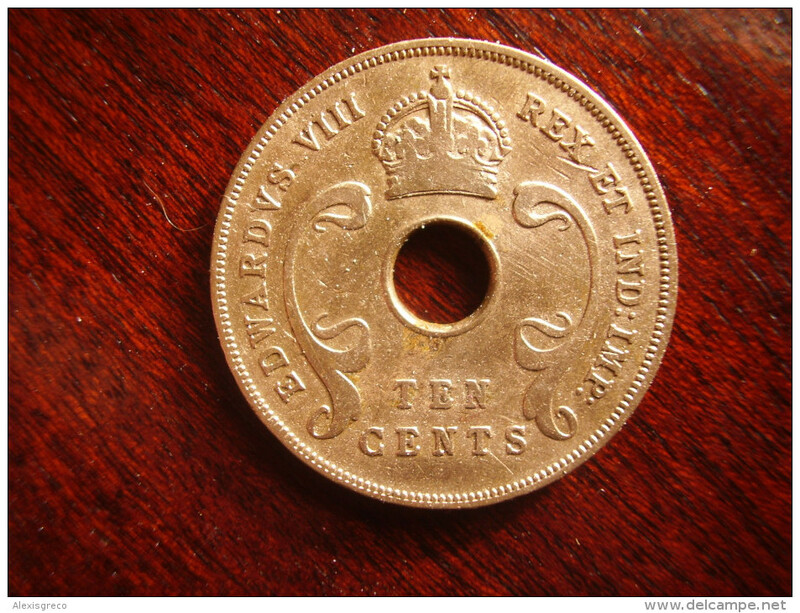 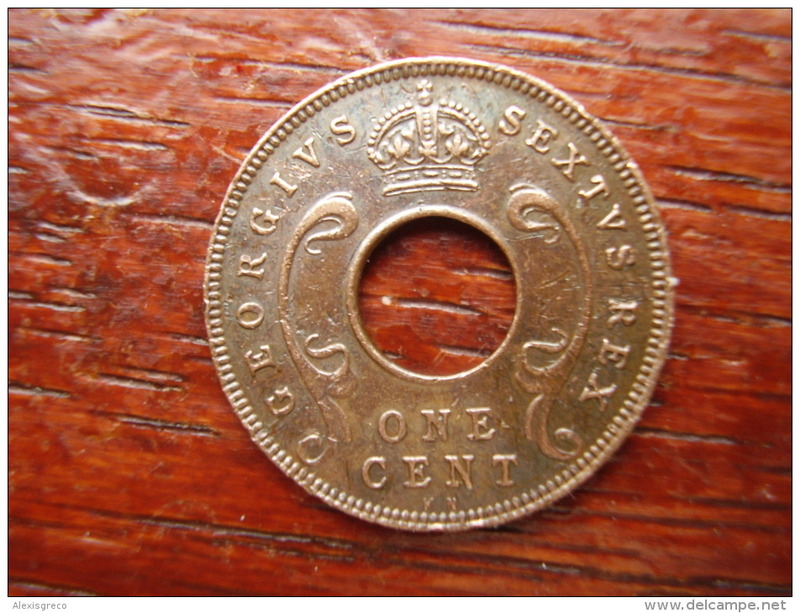 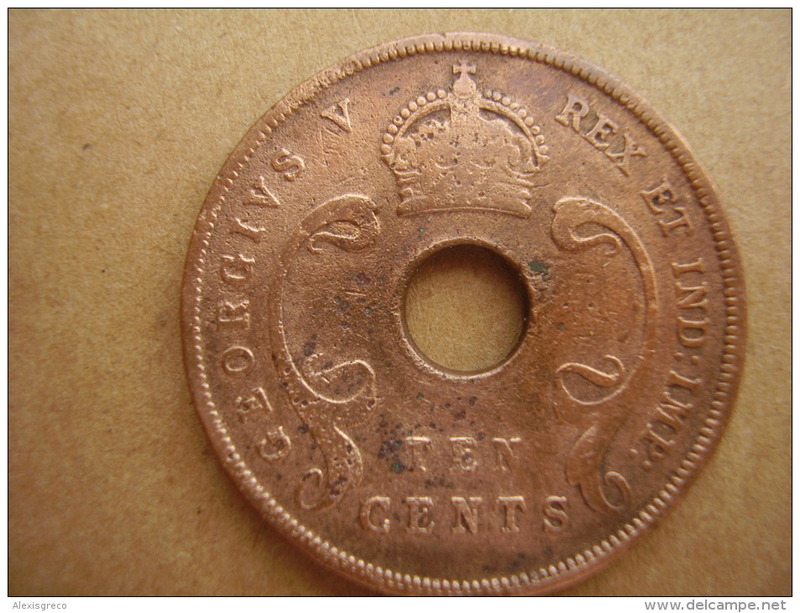 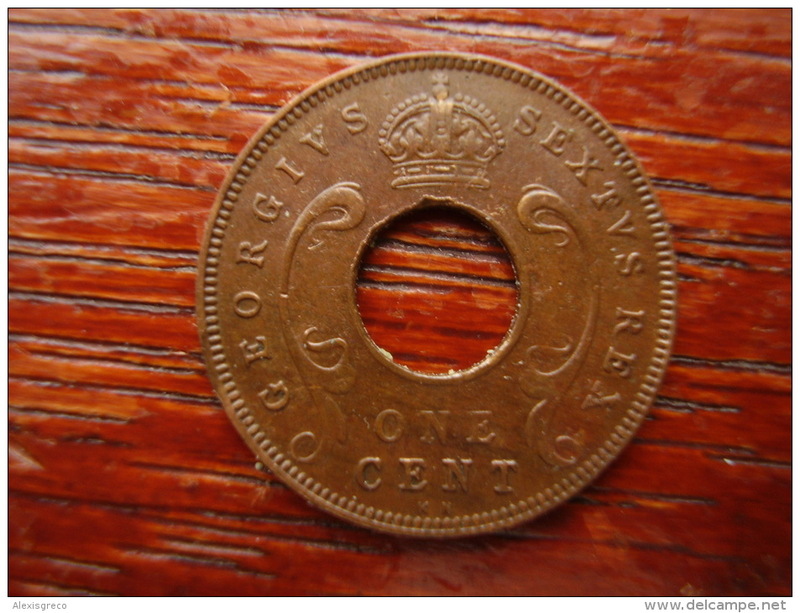 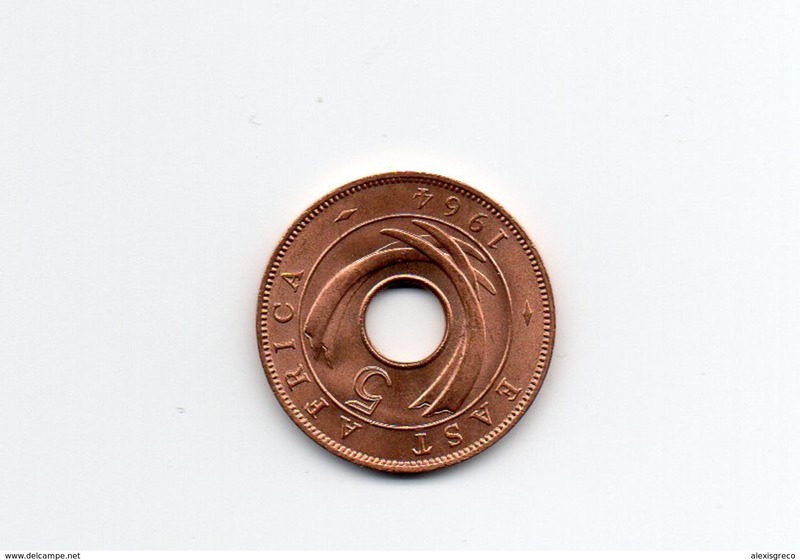 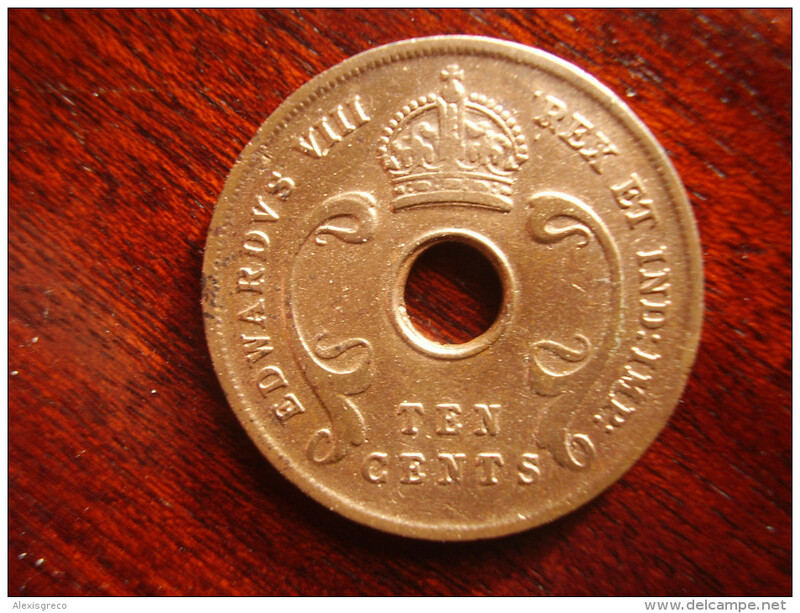 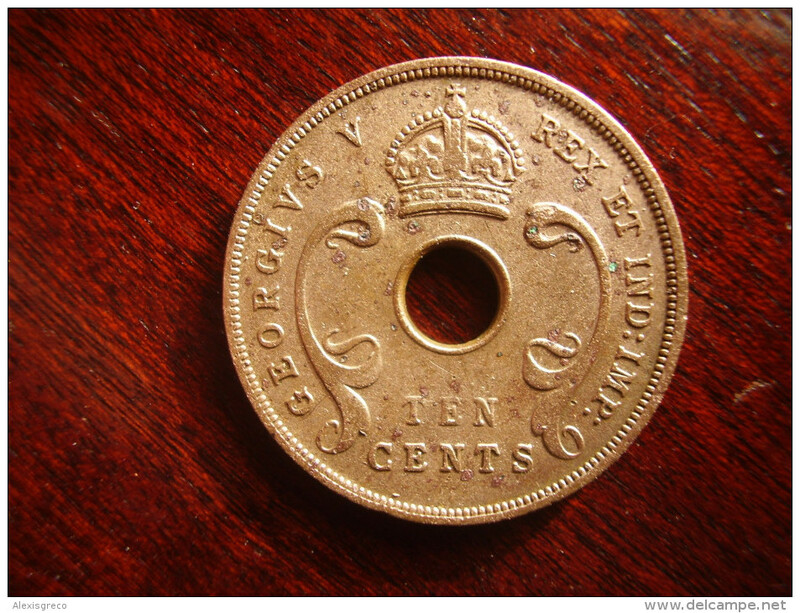 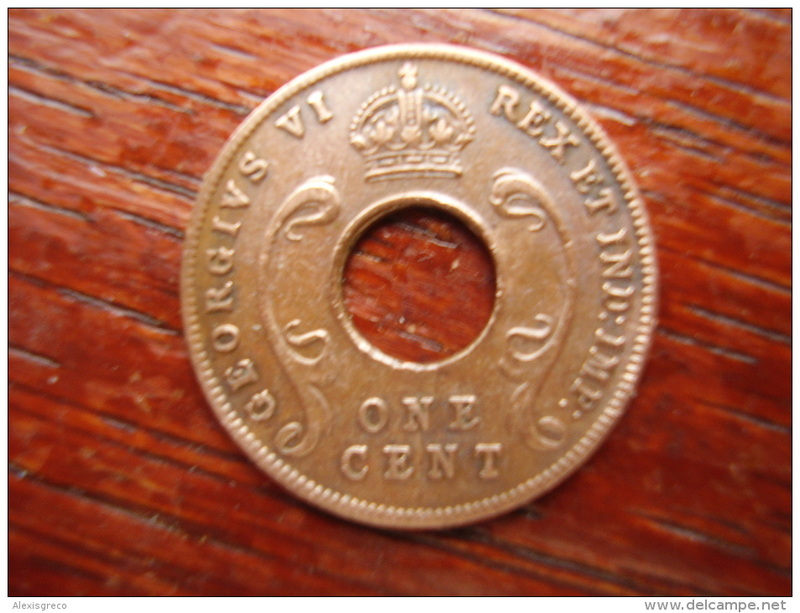 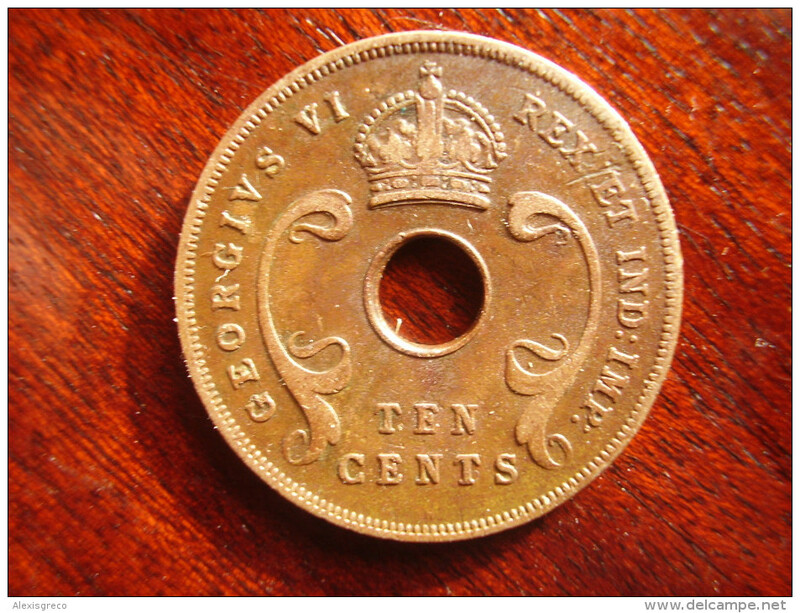 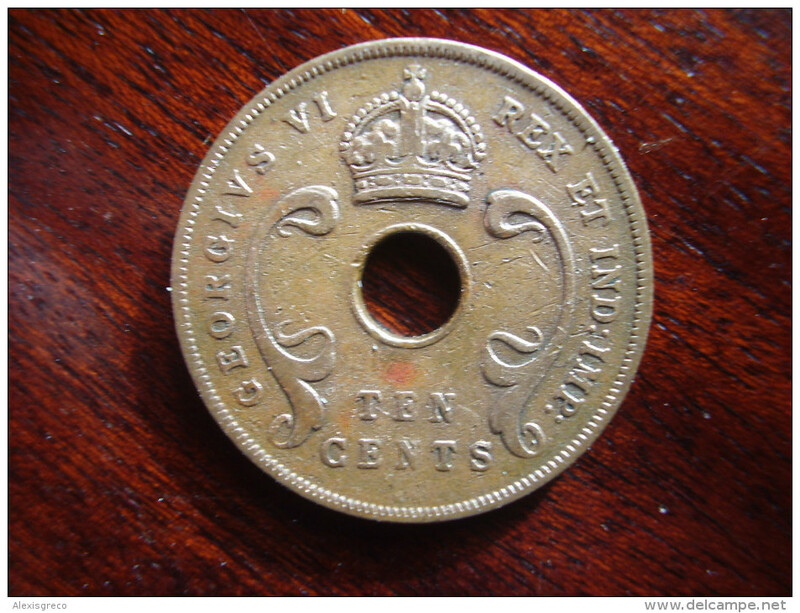 BRITISH EAST AFRICA USED ONE CENT COIN BRONZE of 1942 I.
BRITISH EAST AFRICA USED ONE CENT COIN BRONZE of 1942. 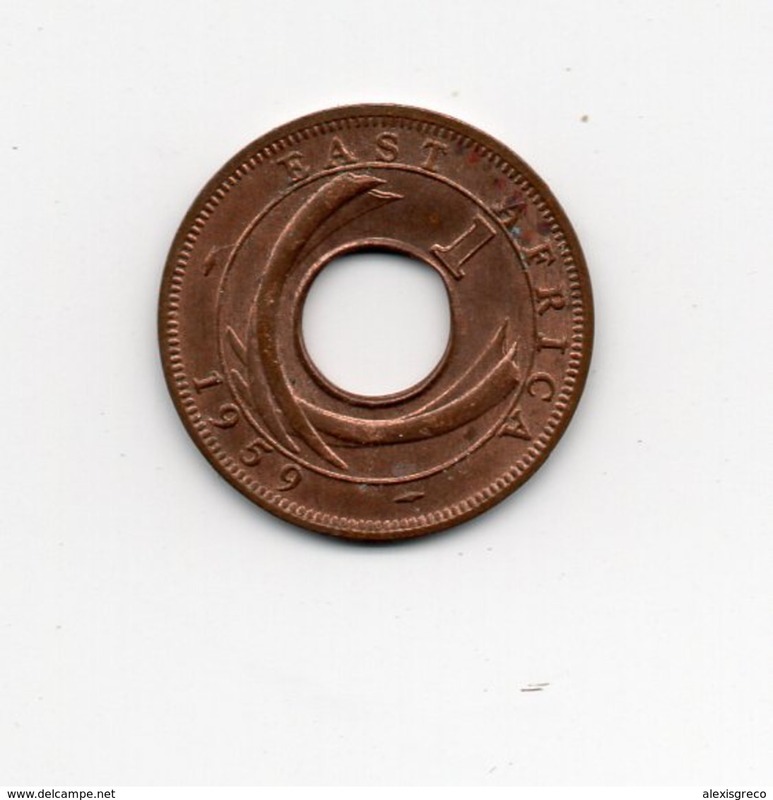 BRITISH EAST AFRICA USED EXCELLENT ONE CENT COIN BRONZE of 1951 KN. 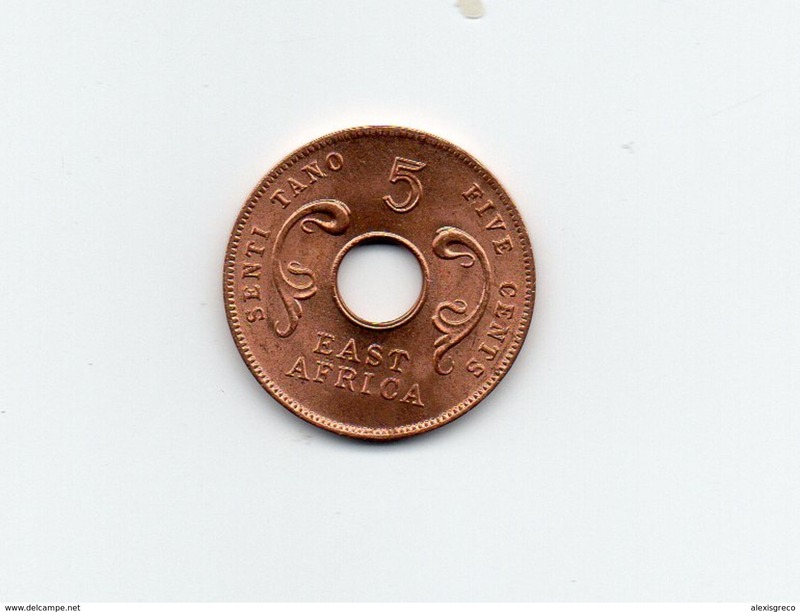 BRITISH EAST AFRICA USED ONE CENT COIN BRONZE of 1955 KN. 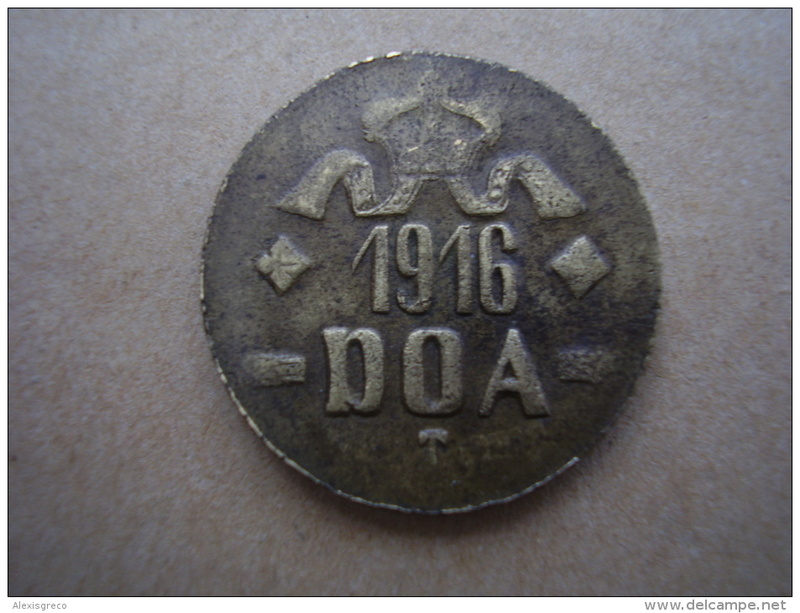 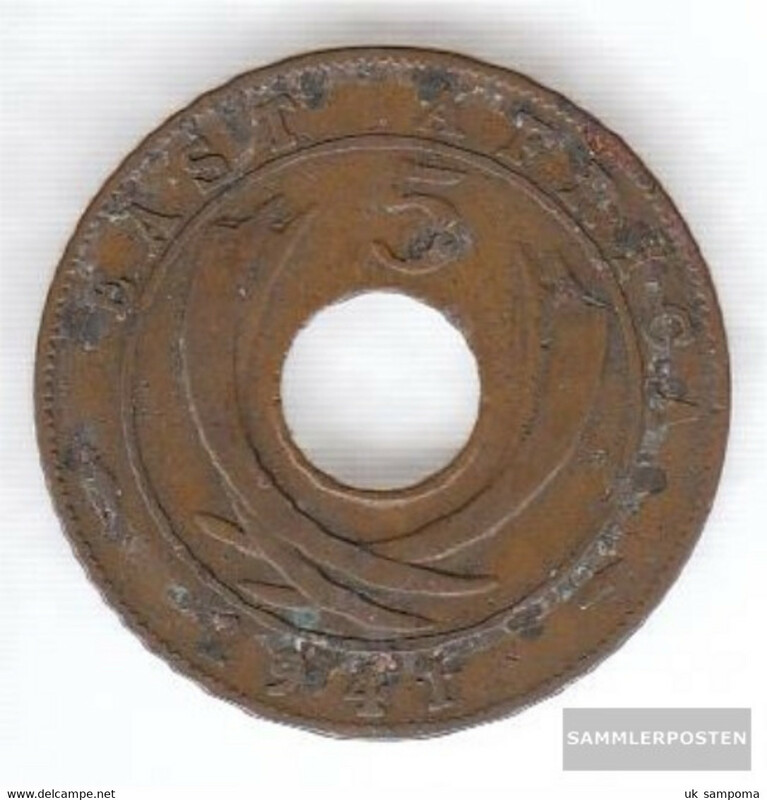 DOA 1916 EMERGENCY TABORA COINS 5 HELLER BRASS. 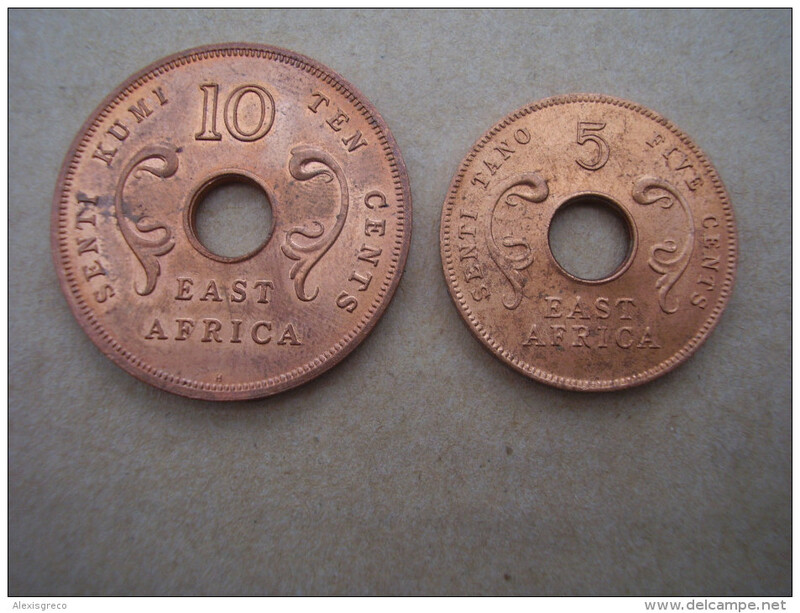 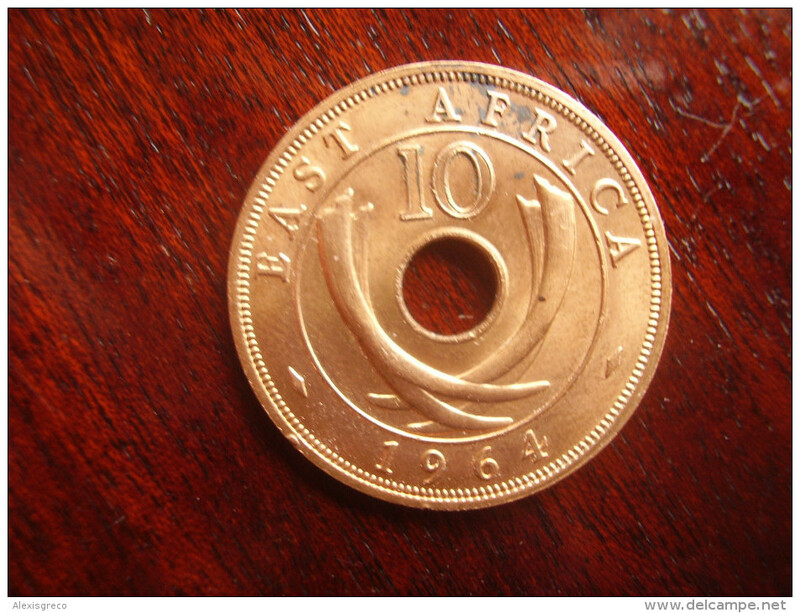 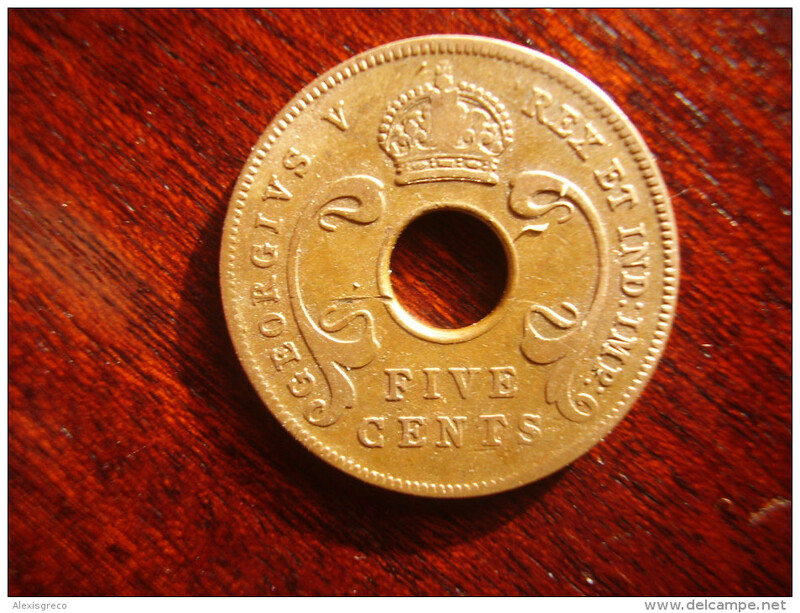 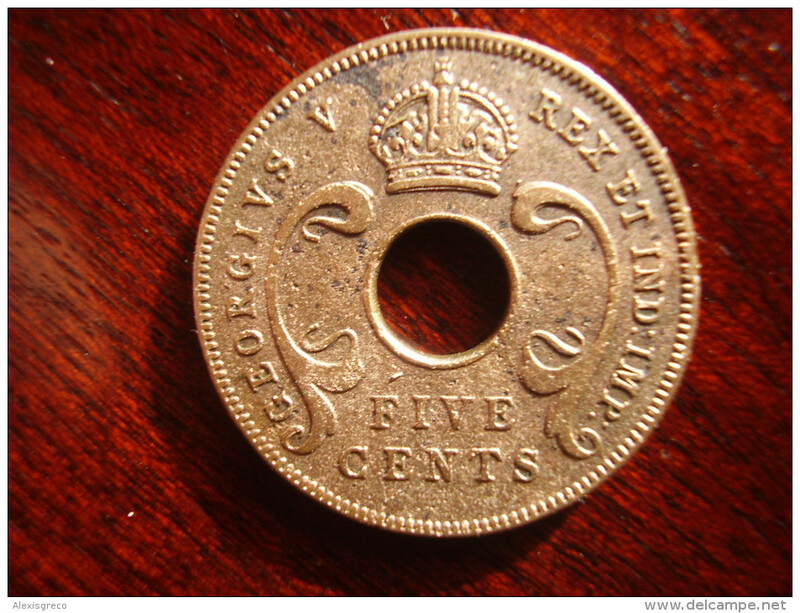 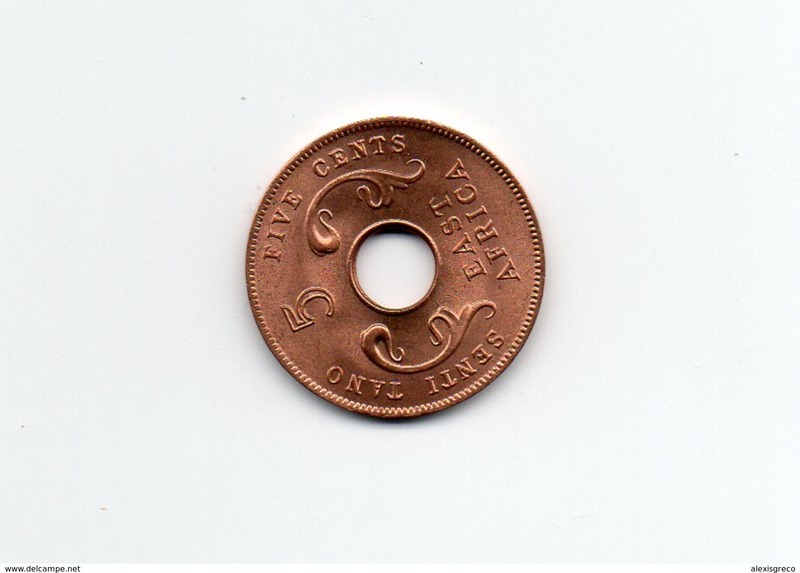 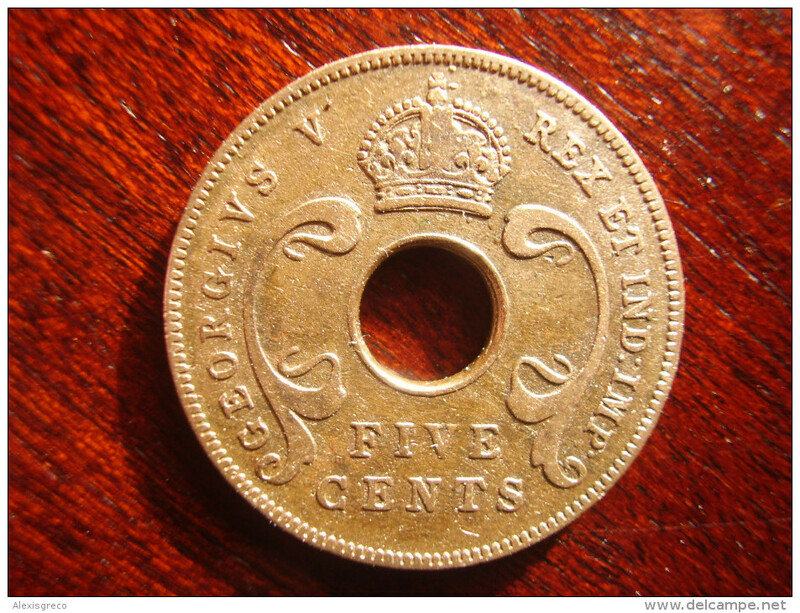 BRITISH EAST AFRICA USED ONE CENT COIN BRONZE of 1952 H.
BRITISH EAST AFRICA USED ONE SHILLING 1952 Copper-nickel COIN. 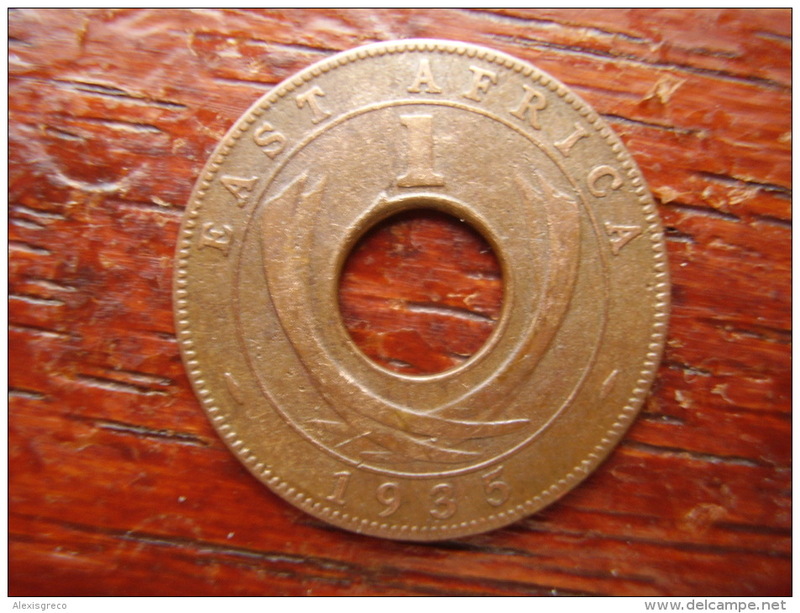 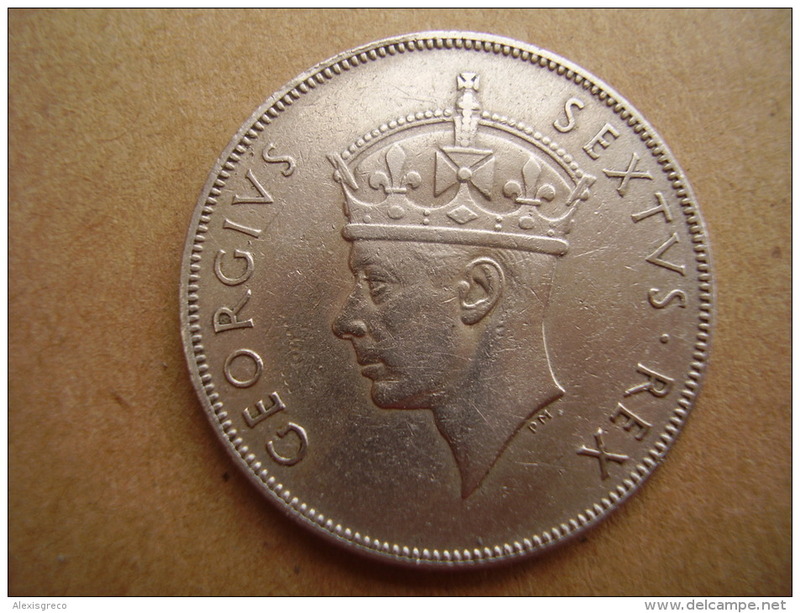 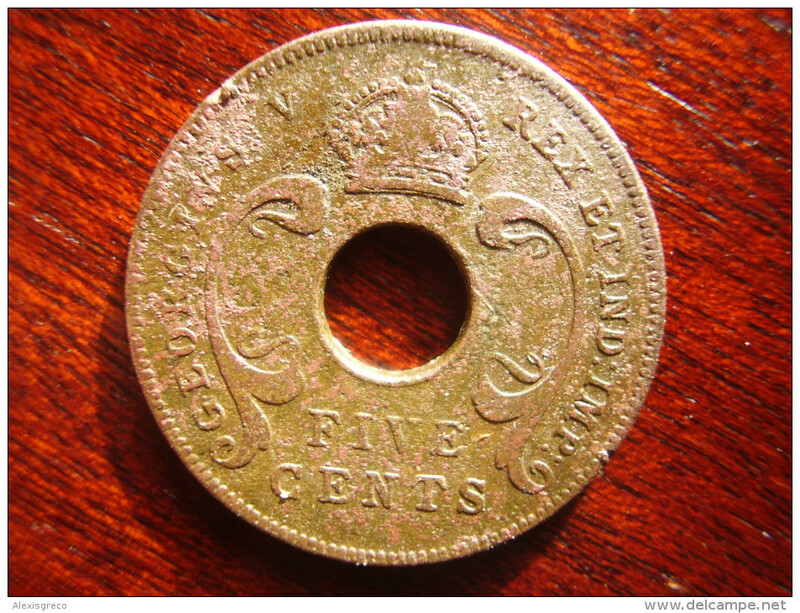 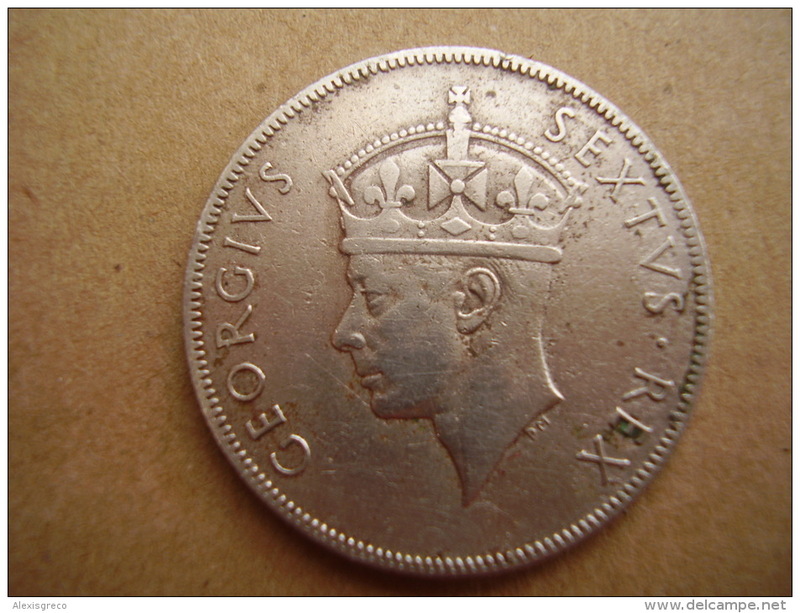 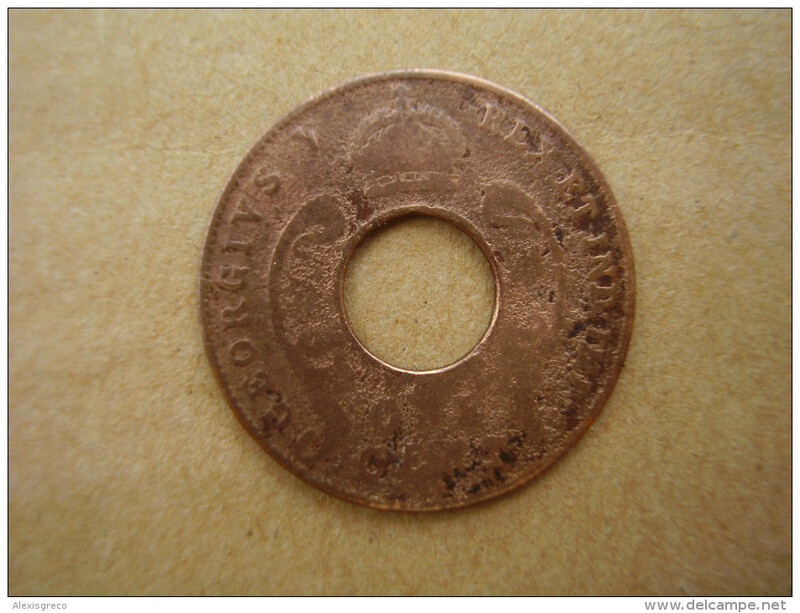 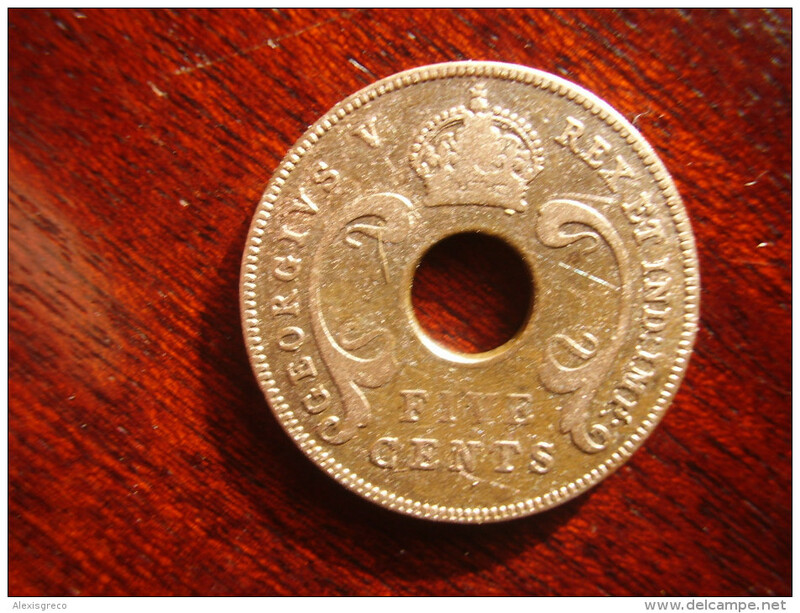 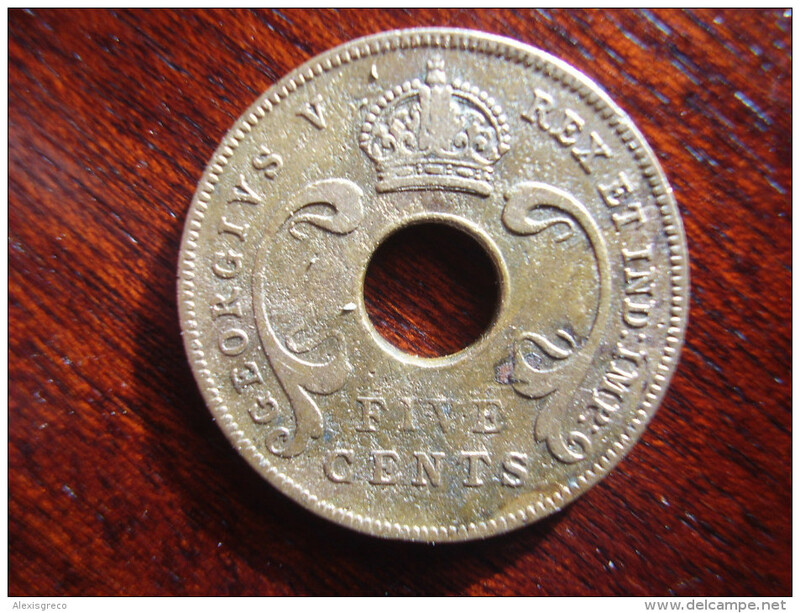 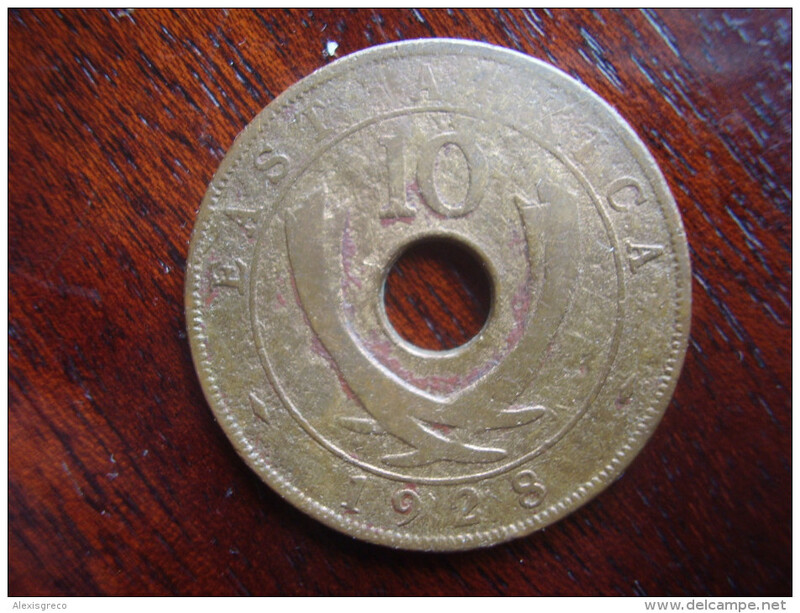 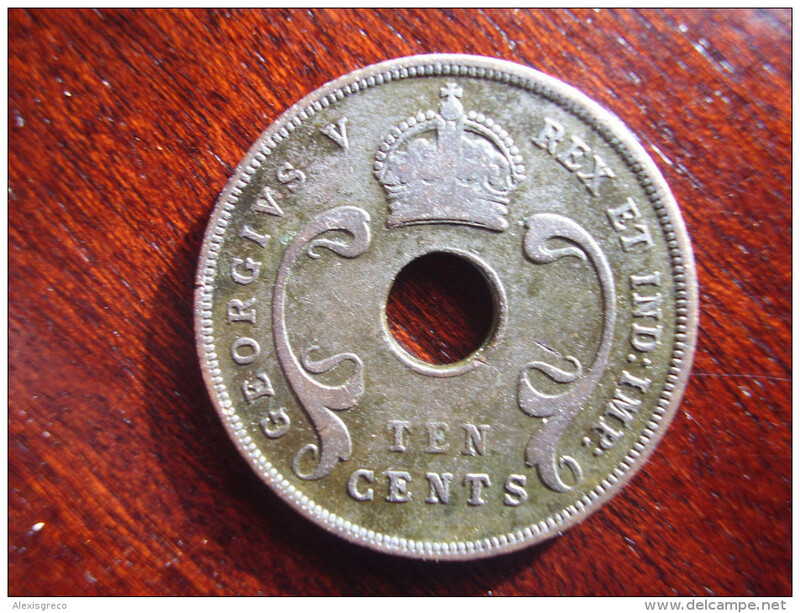 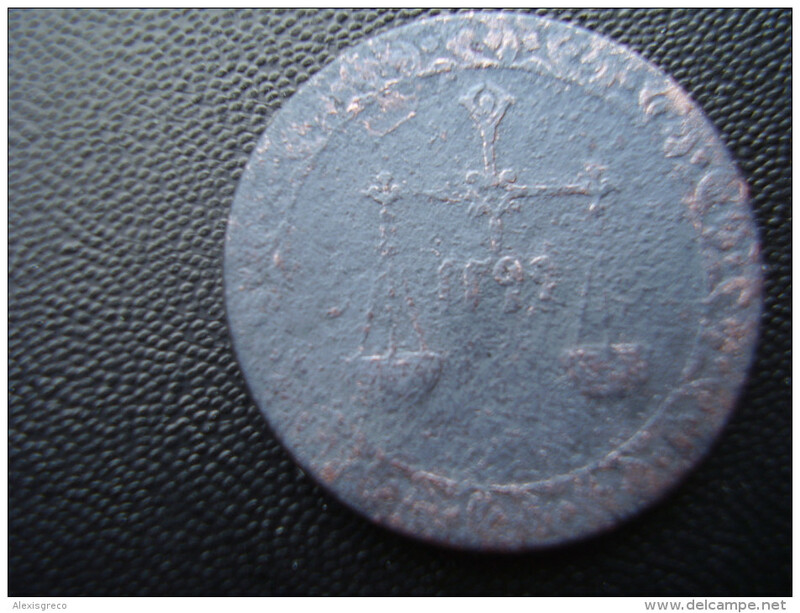 BRITISH EAST AFRICA USED ONE SHILLING 1948 Copper-nickel COIN. 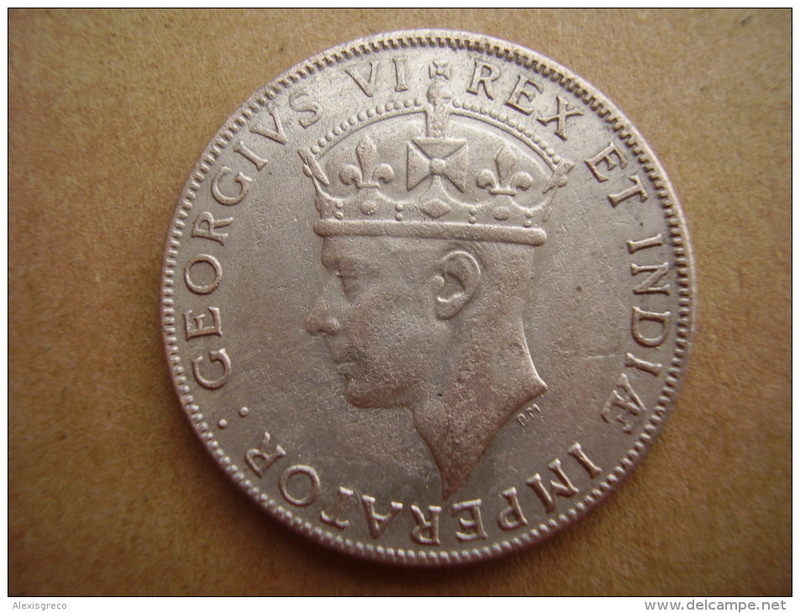 BRITISH EAST AFRICA USED ONE SHILLING 1942 I .250 SILVER COIN. 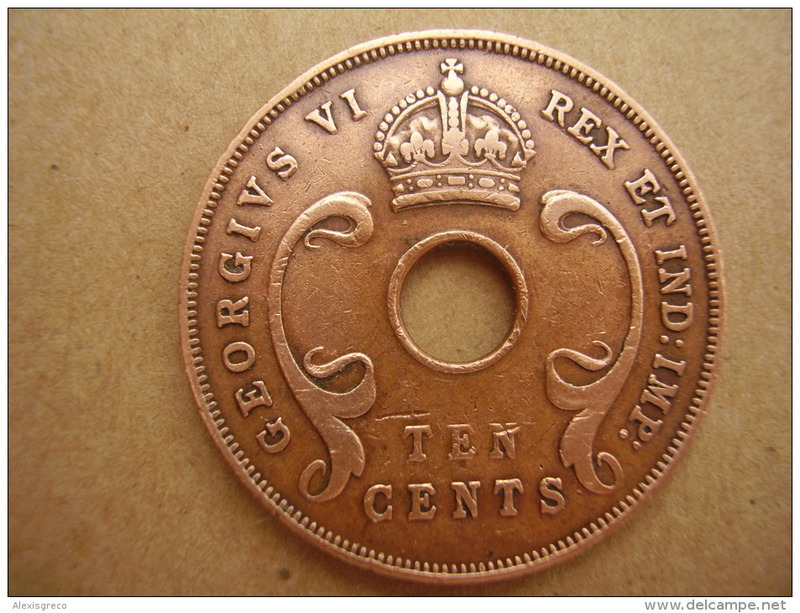 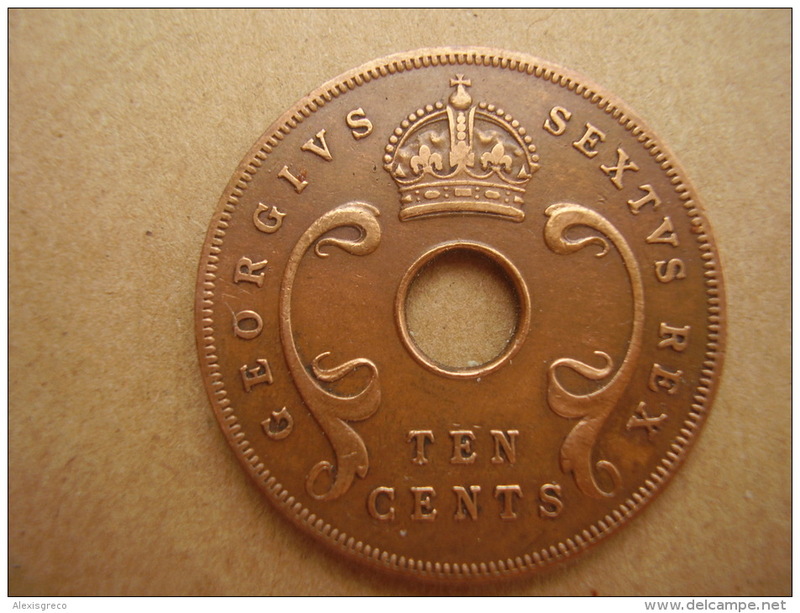 BRITISH EAST AFRICA USED ONE CENT COIN BRONZE of 1951 H.
BRITISH EAST AFRICA USED TEN CENT COIN BRONZE of 1942 - George VI. 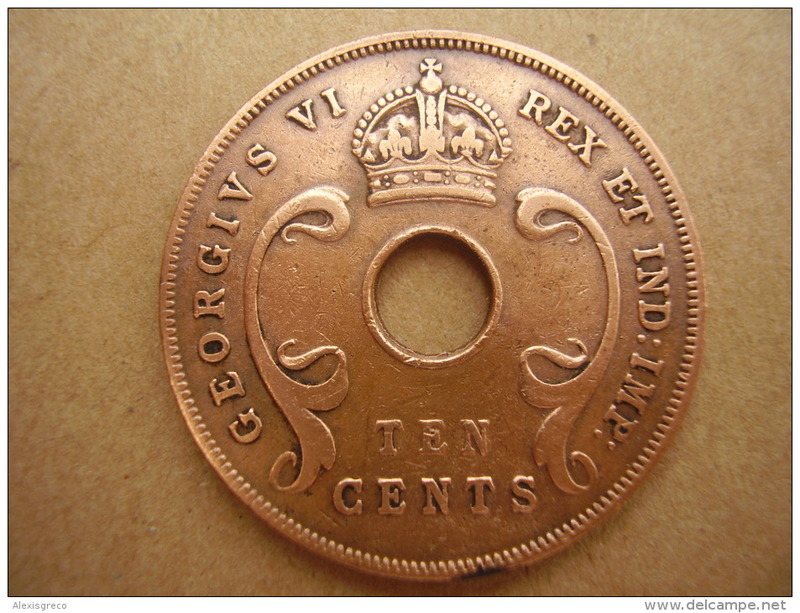 BRITISH EAST AFRICA USED TEN CENT COIN BRONZE of 1964 - George VI. 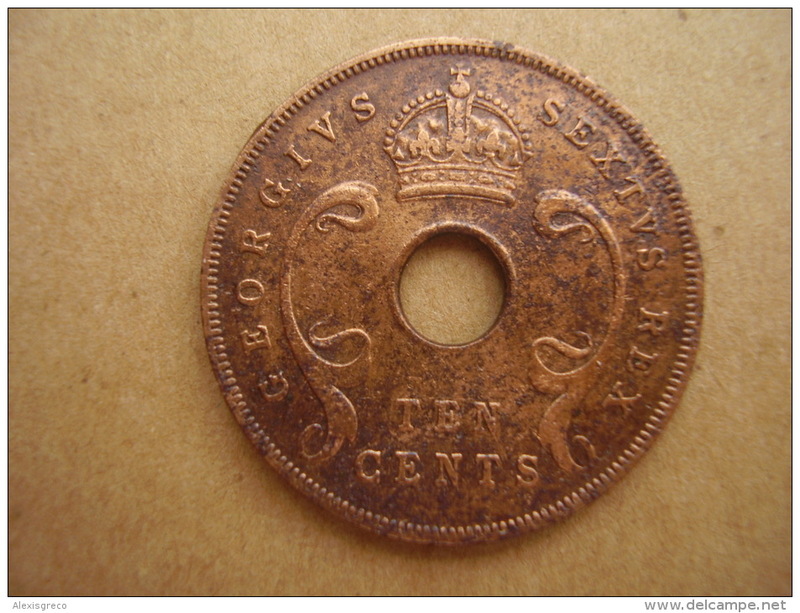 BRITISH EAST AFRICA USED TEN CENT COIN BRONZE of 1956 - George VI. 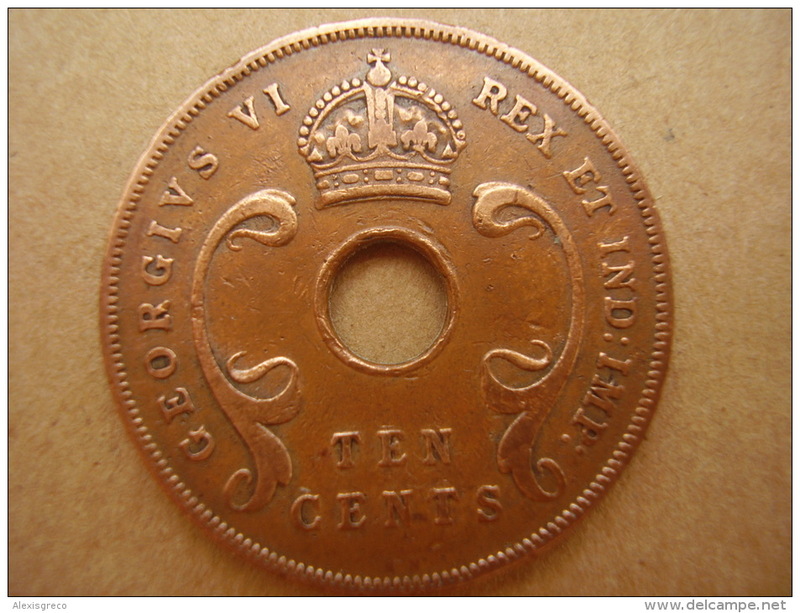 BRITISH EAST AFRICA USED TEN CENT COIN BRONZE of 1952 - George VI. 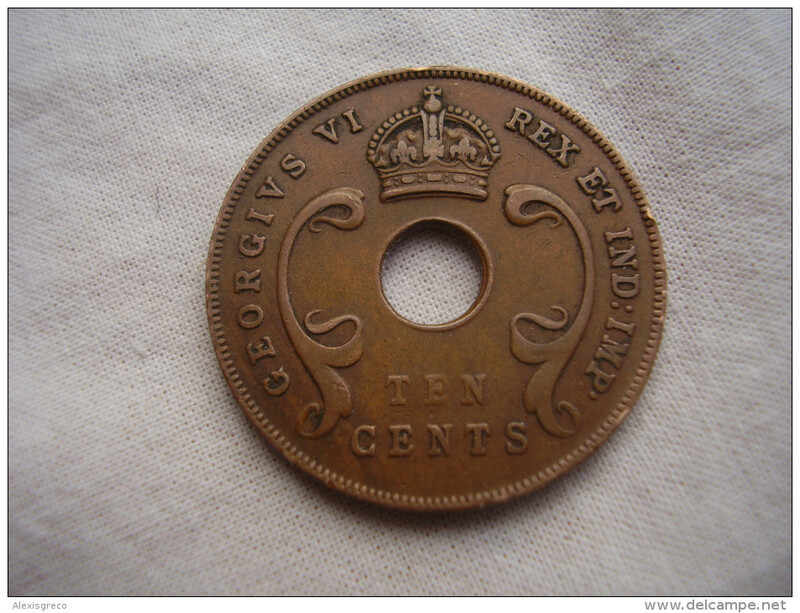 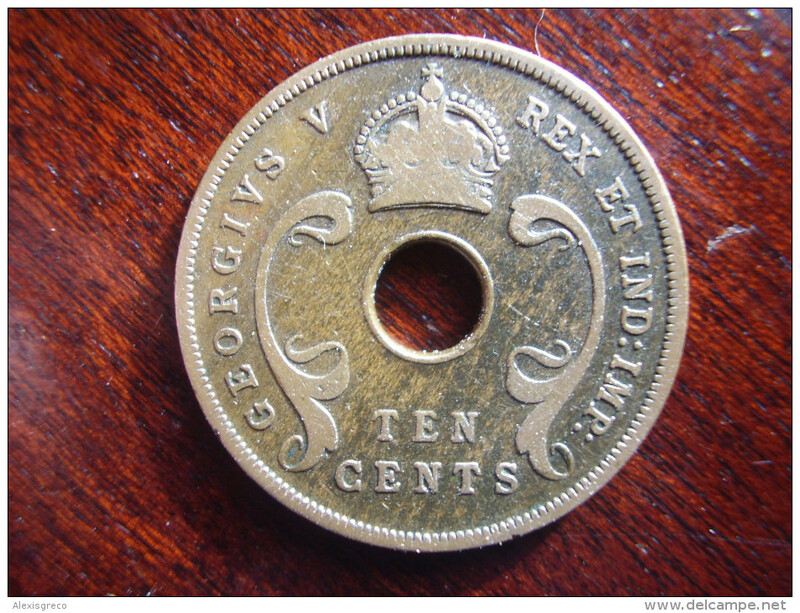 BRITISH EAST AFRICA USED TEN CENT COIN BRONZE of 1949 - GEORGE V.
BRITISH EAST AFRICA USED TEN CENT COIN BRONZE of 1934 - GEORGE V.
BRITISH EAST AFRICA USED TEN CENT COIN BRONZE of 1937 KN - GEORGE VI. 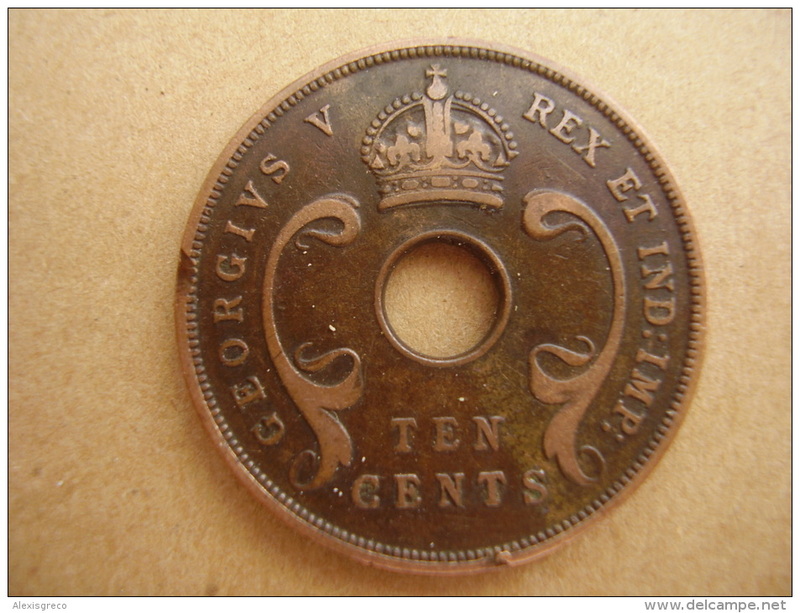 BRITISH EAST AFRICA USED TEN CENT COIN BRONZE of 1941 - GEORGE VI.